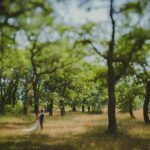 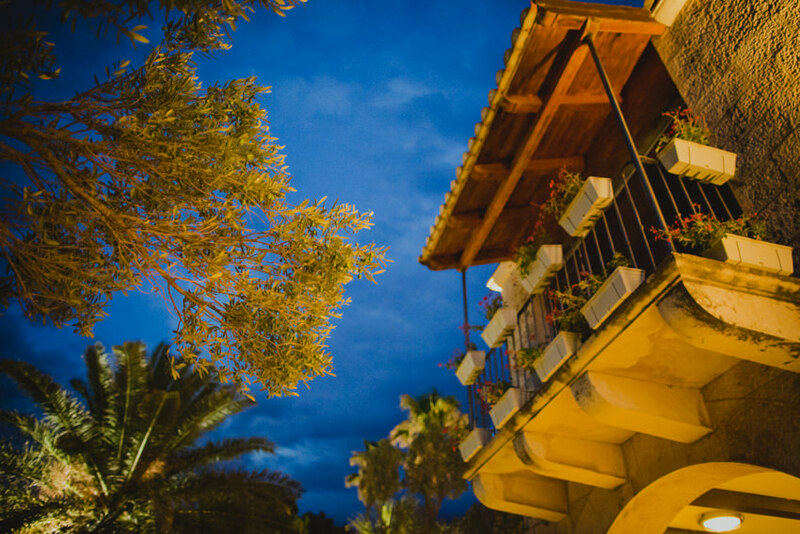 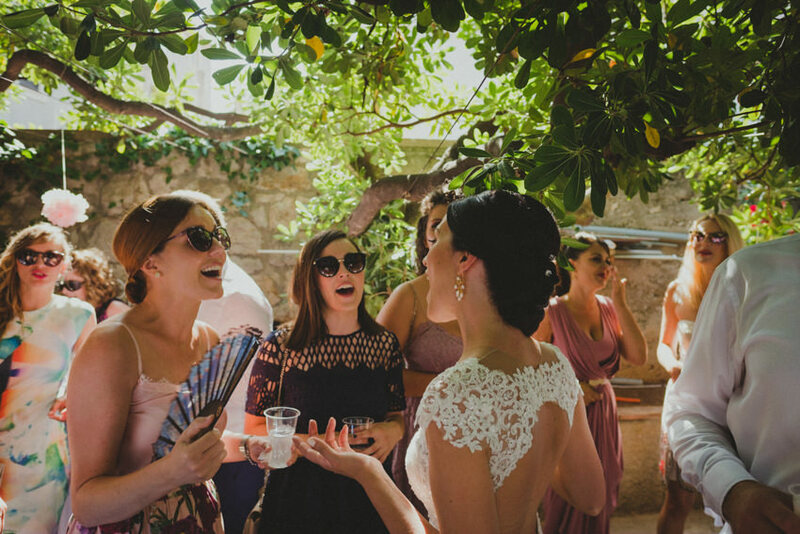 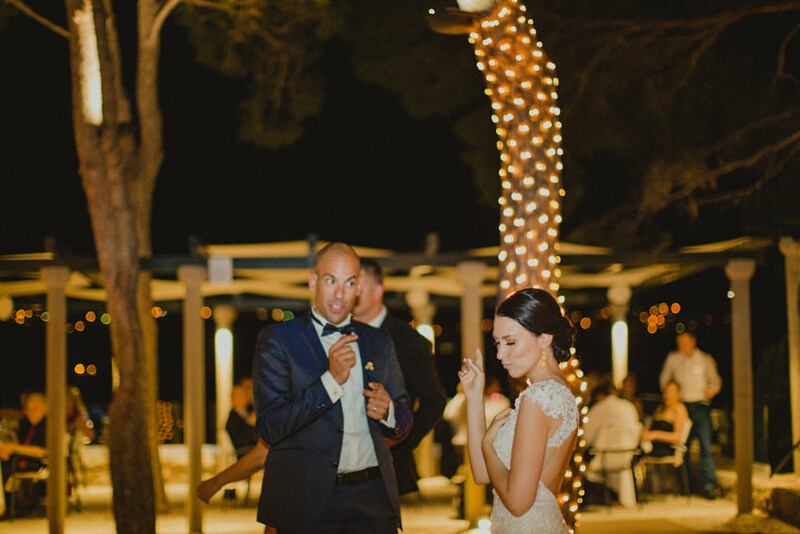 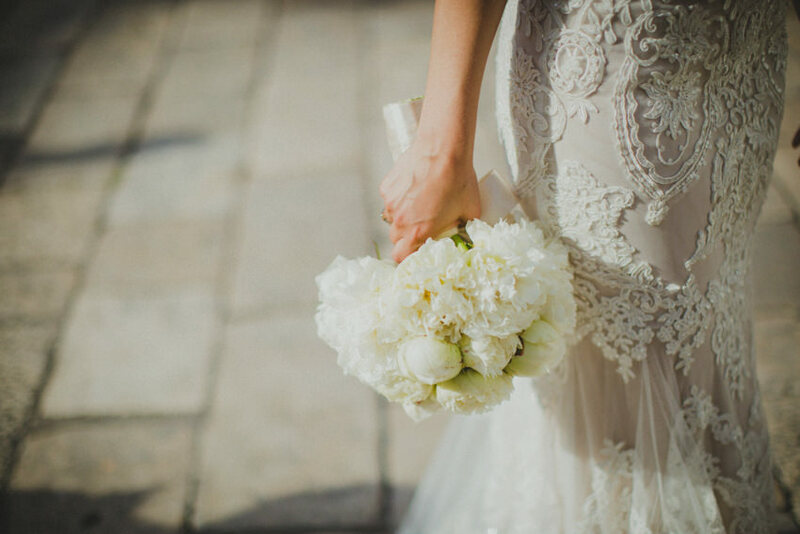 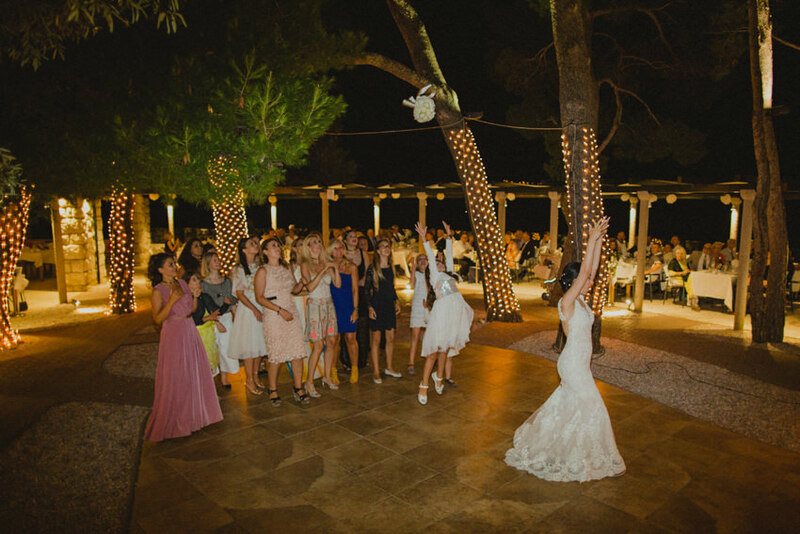 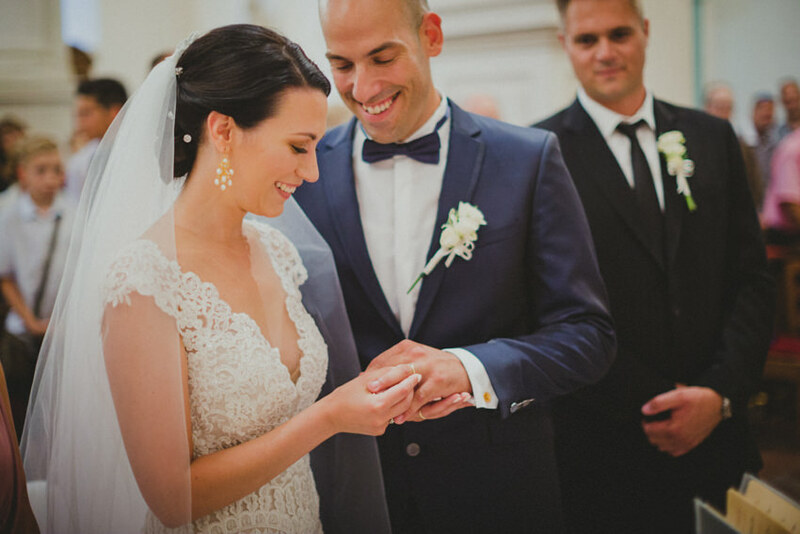 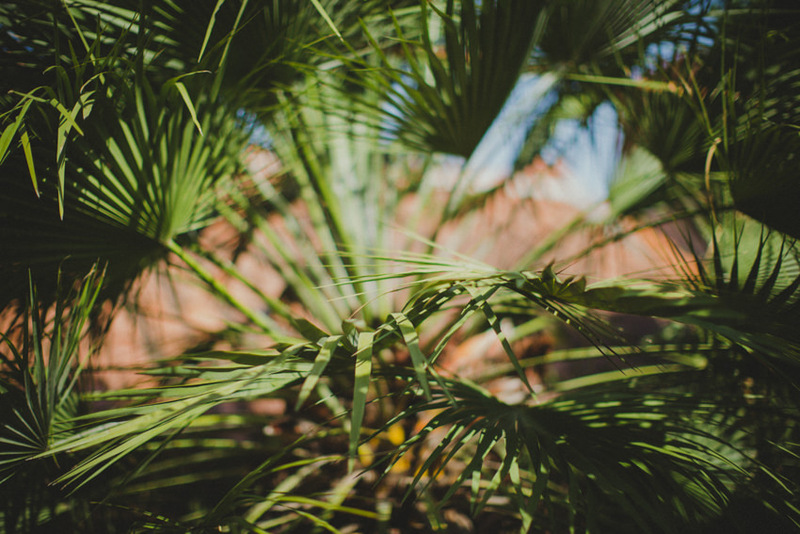 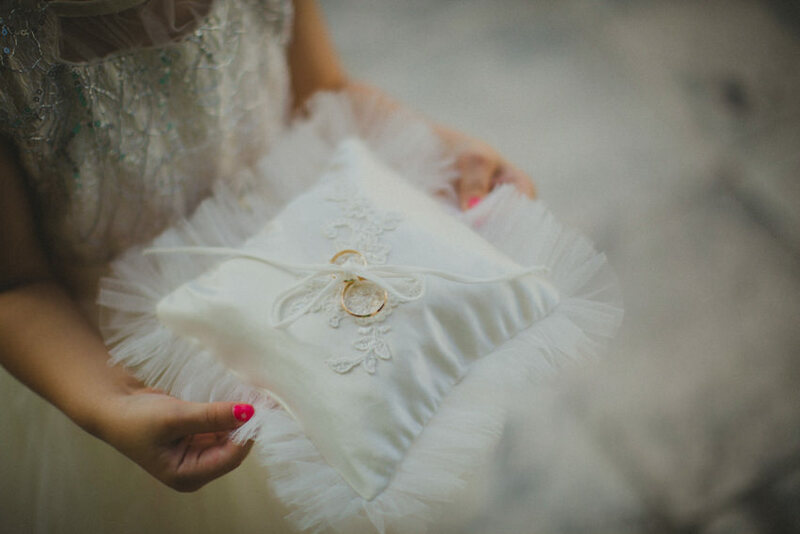 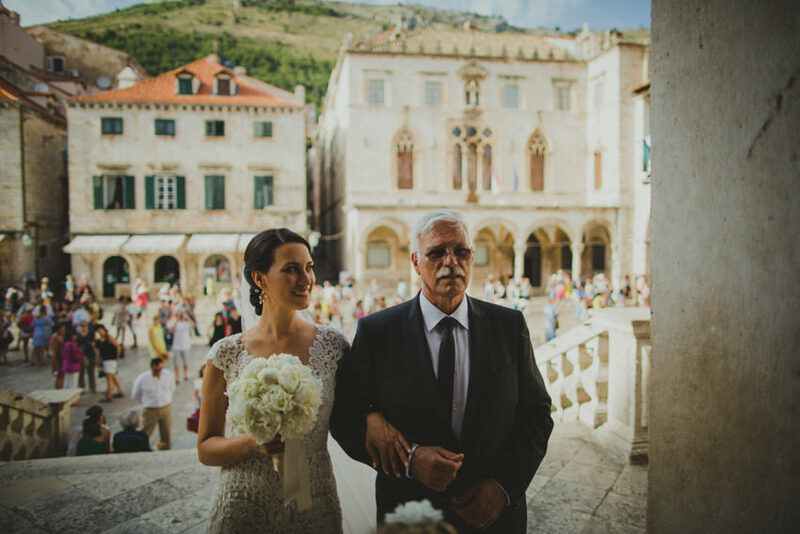 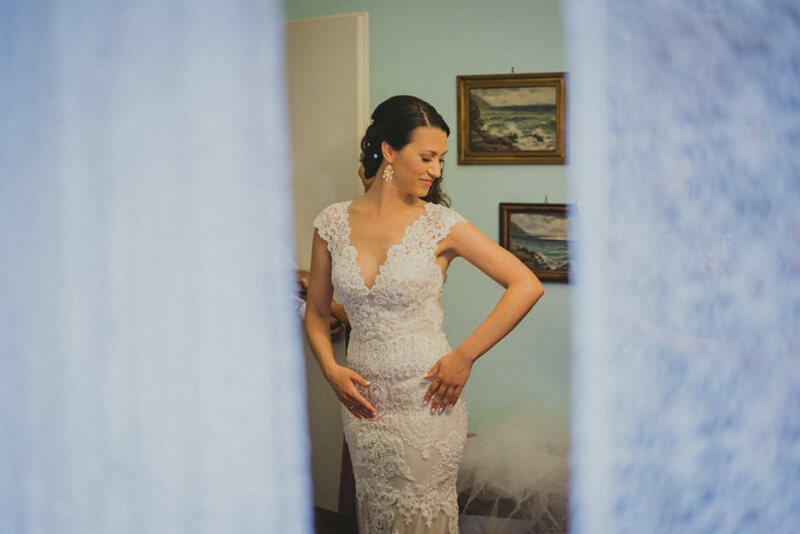 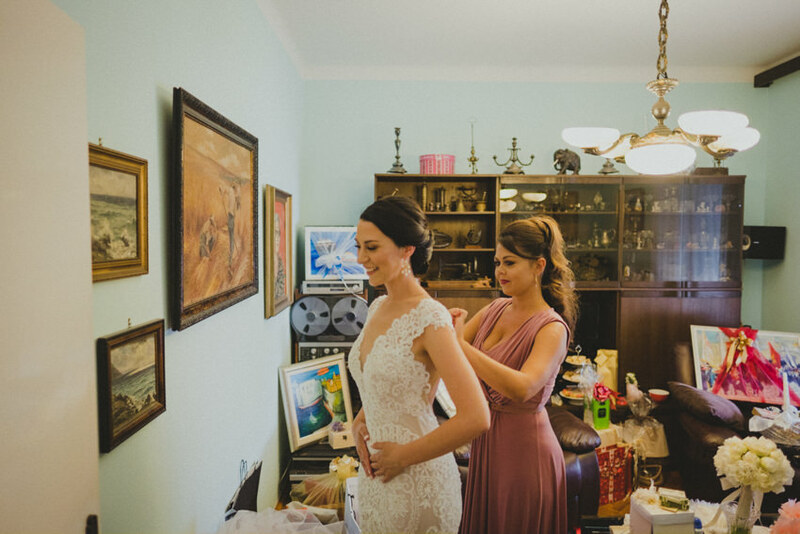 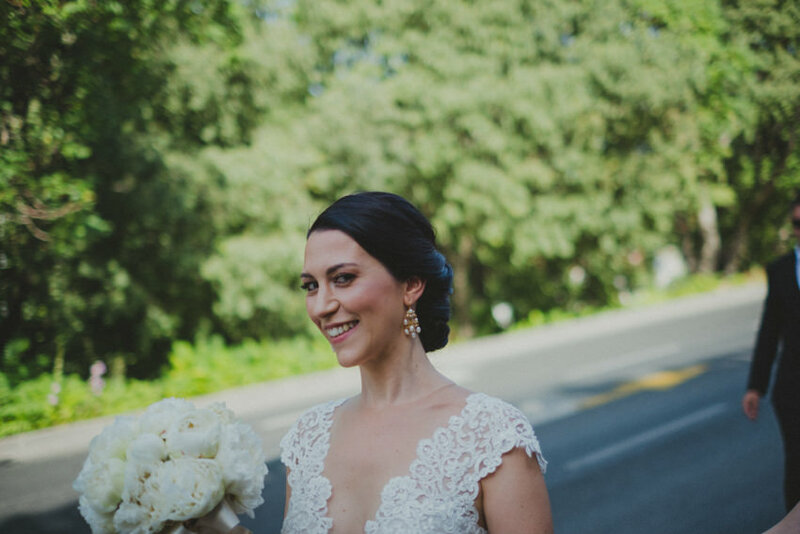 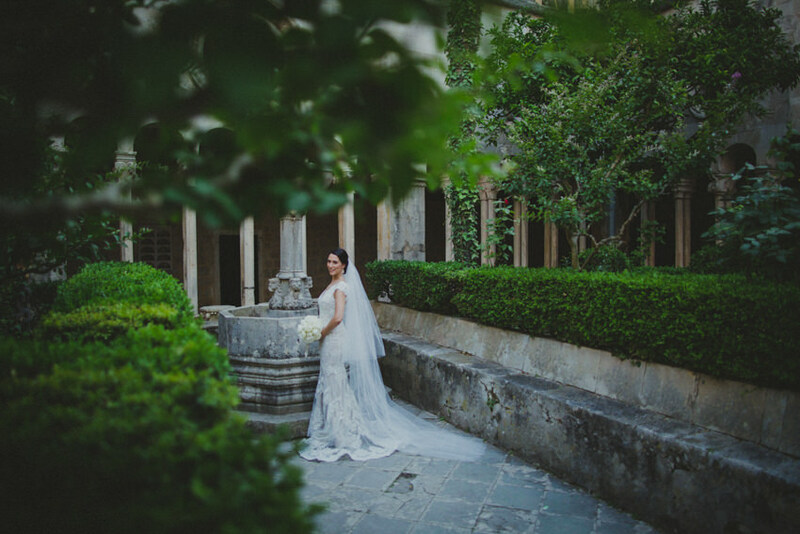 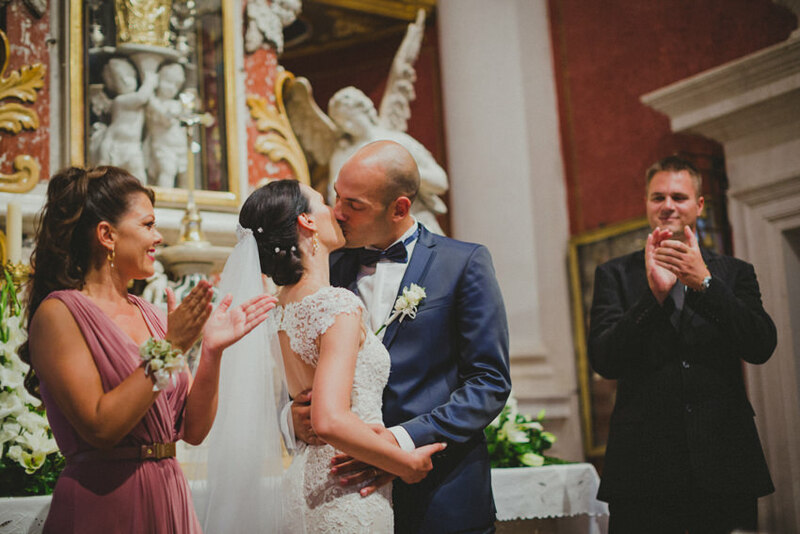 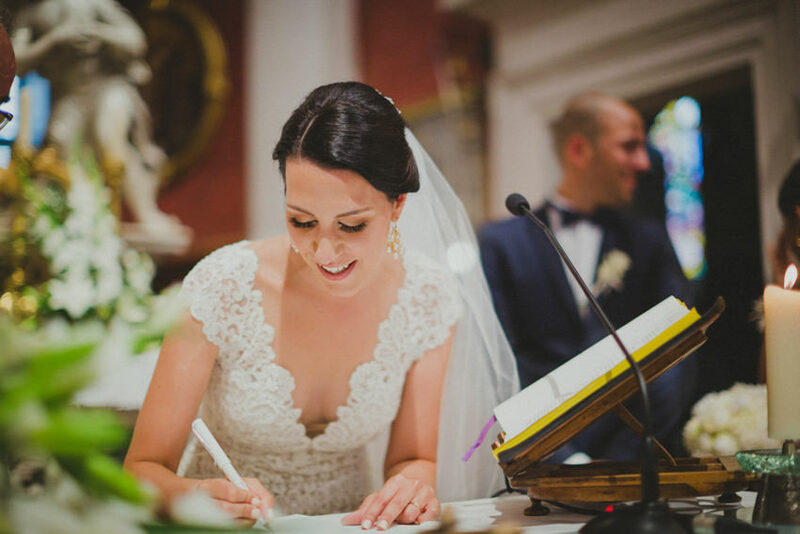 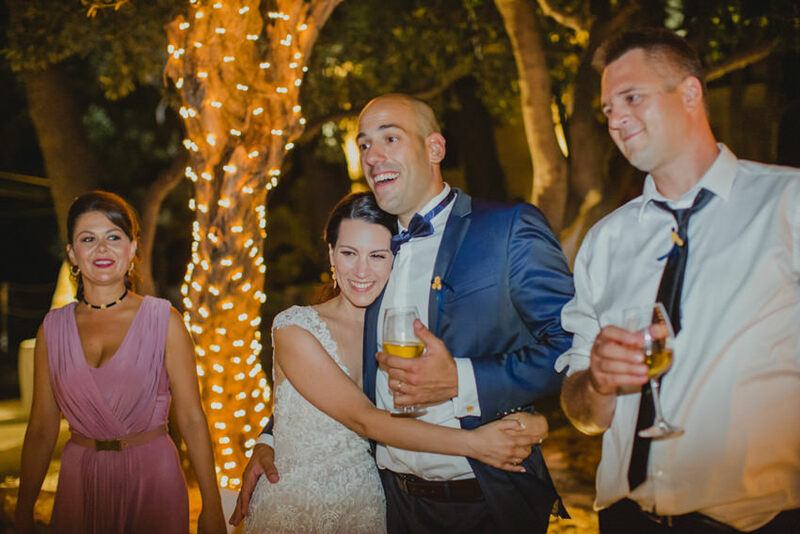 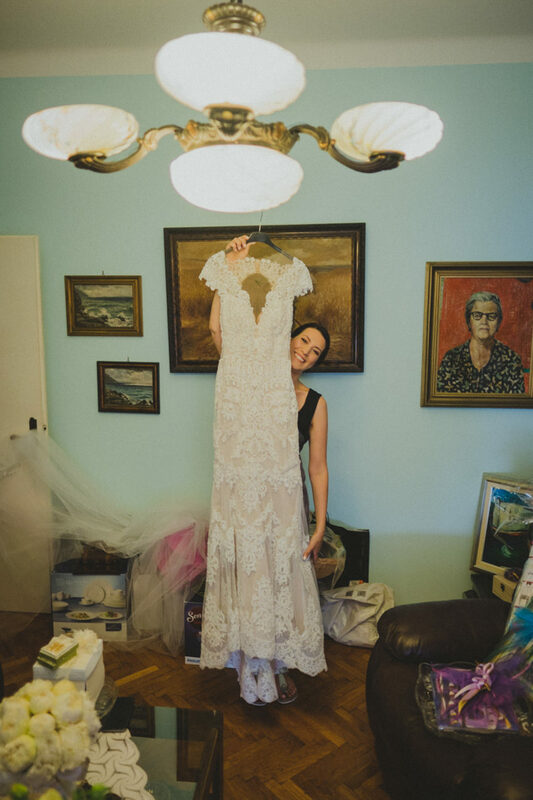 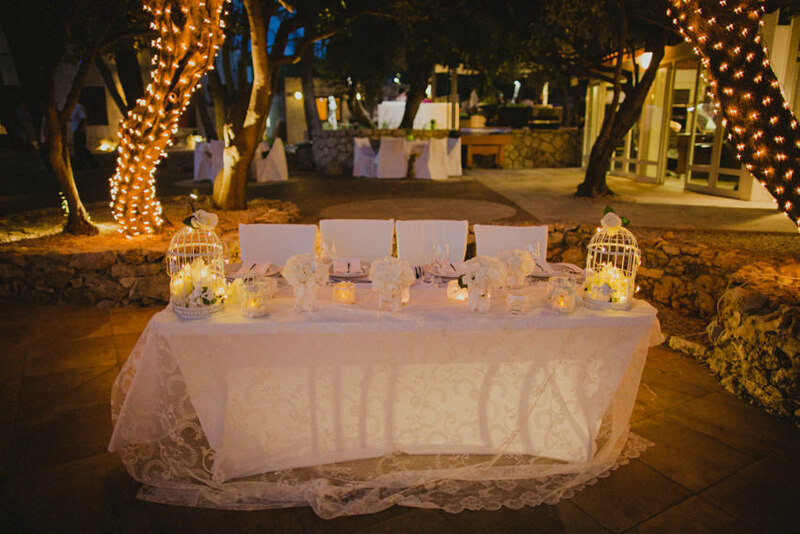 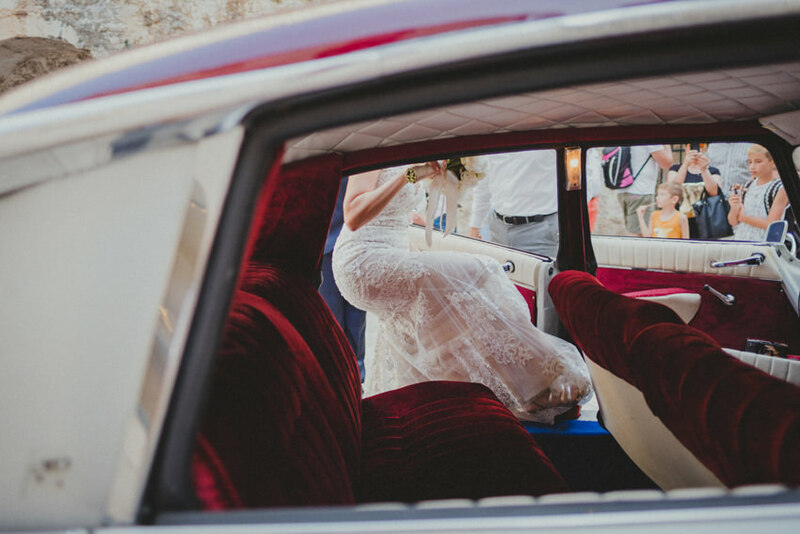 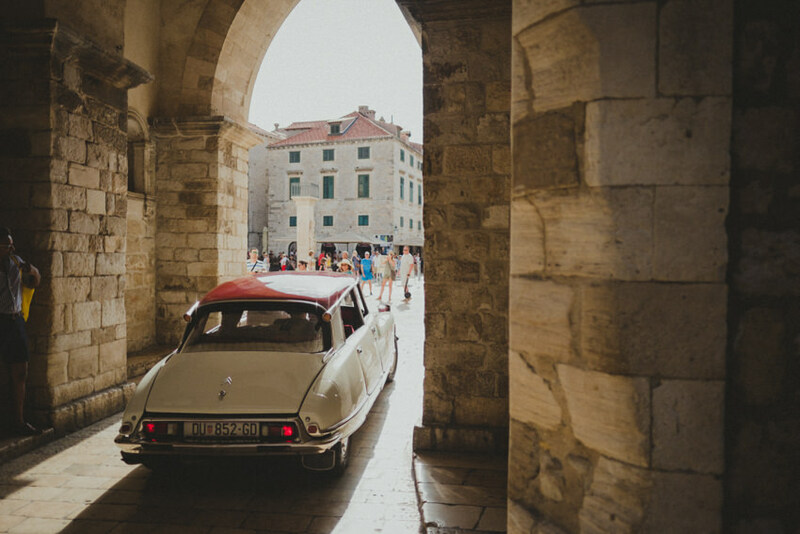 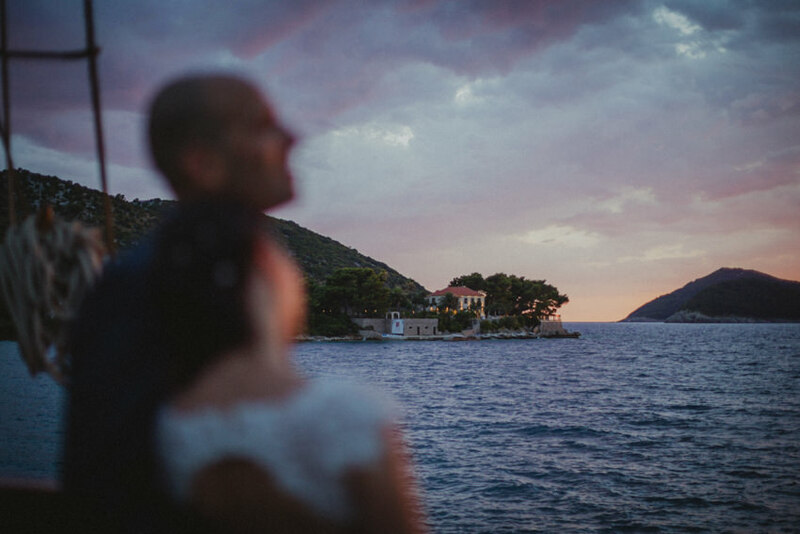 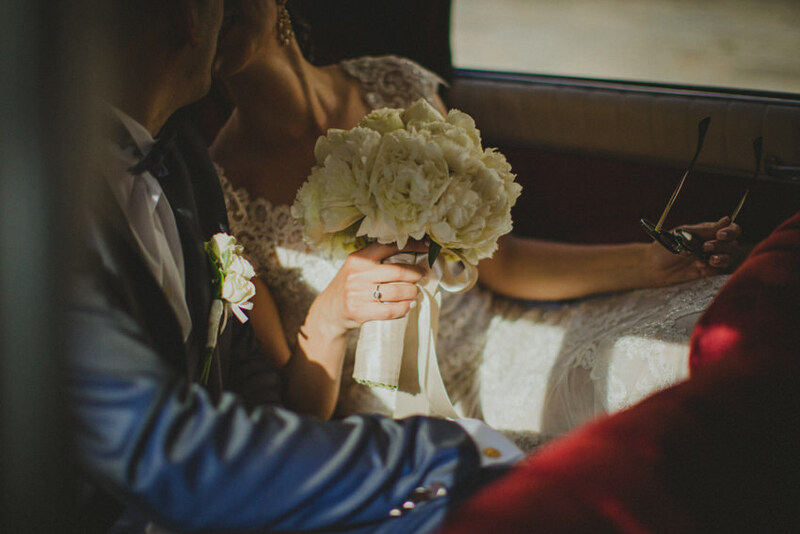 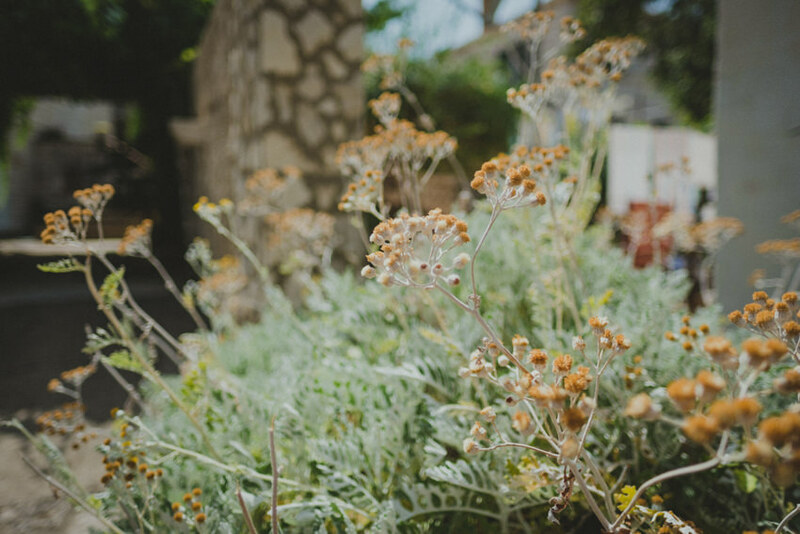 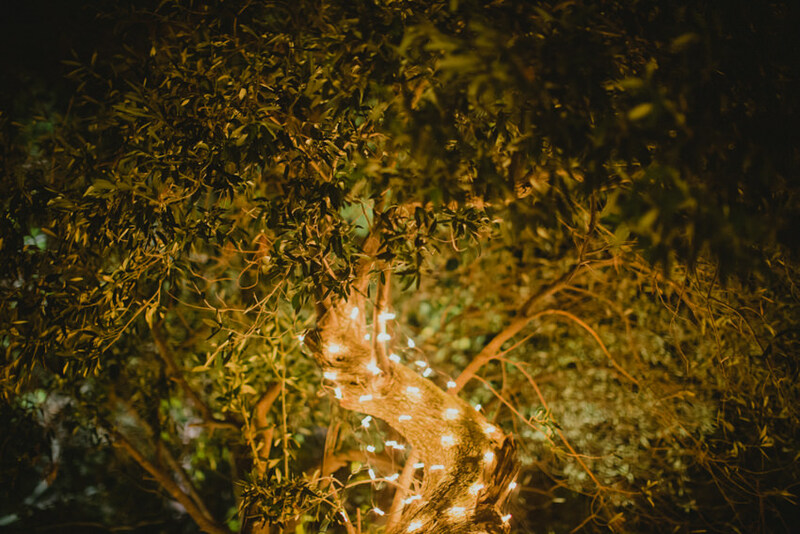 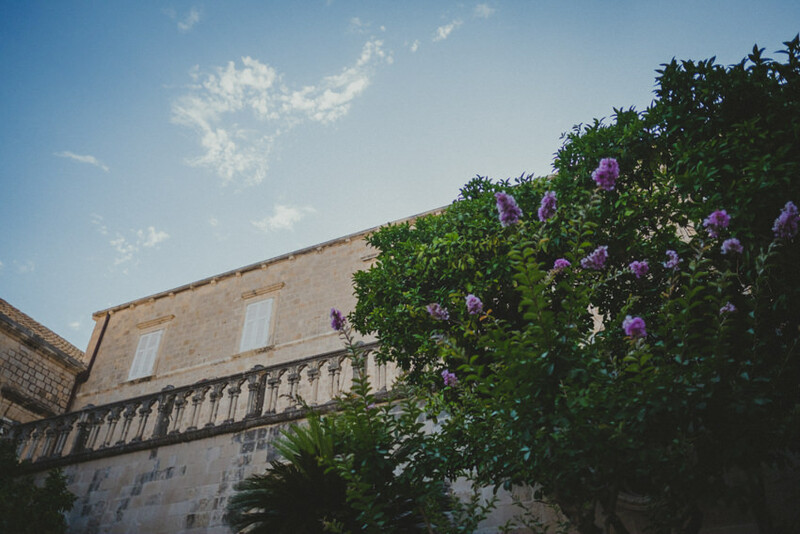 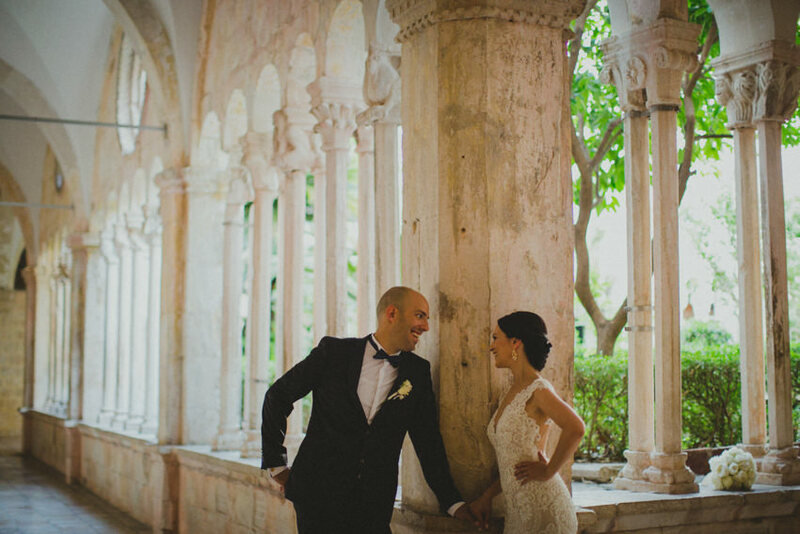 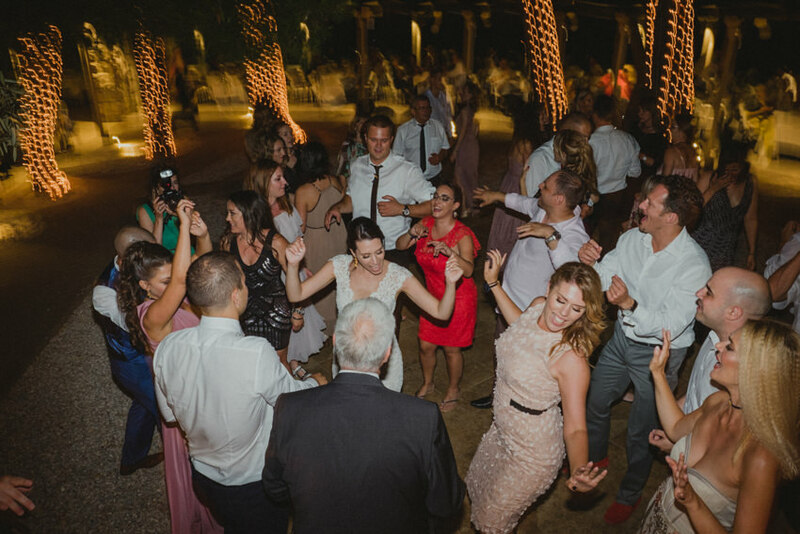 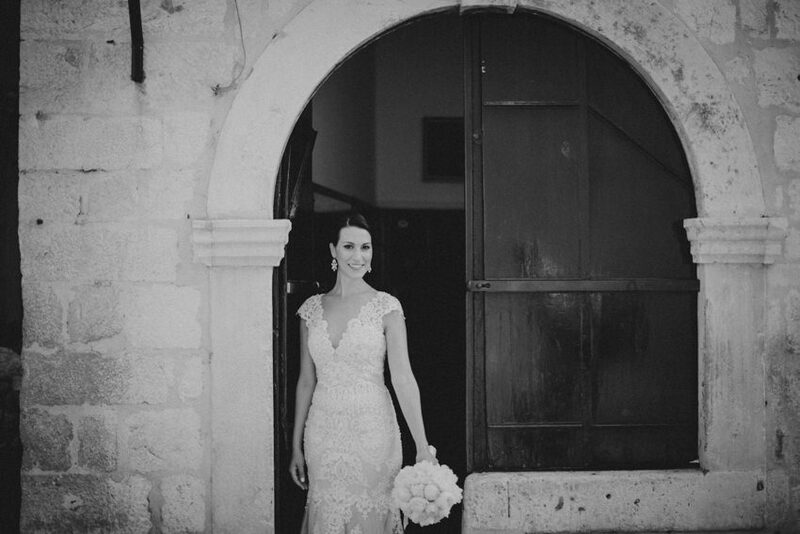 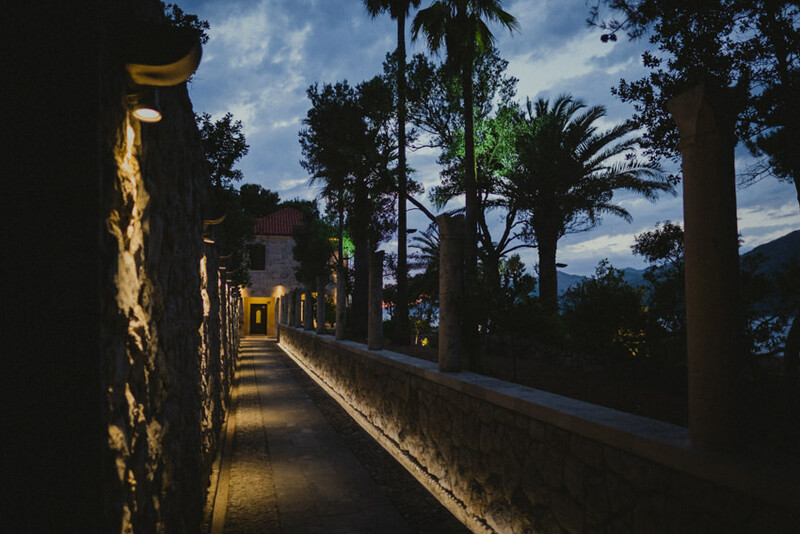 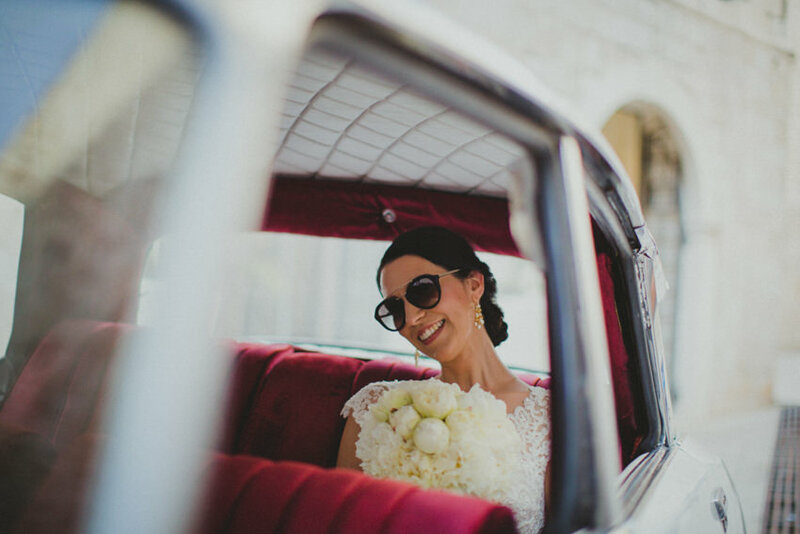 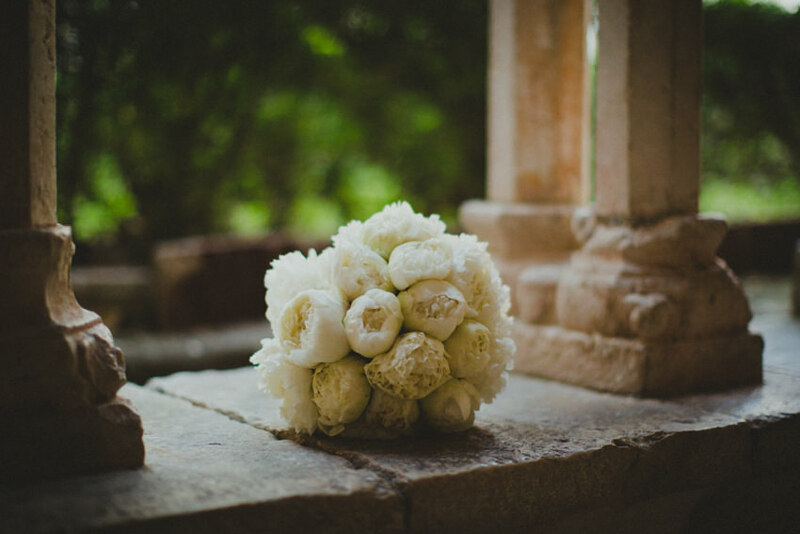 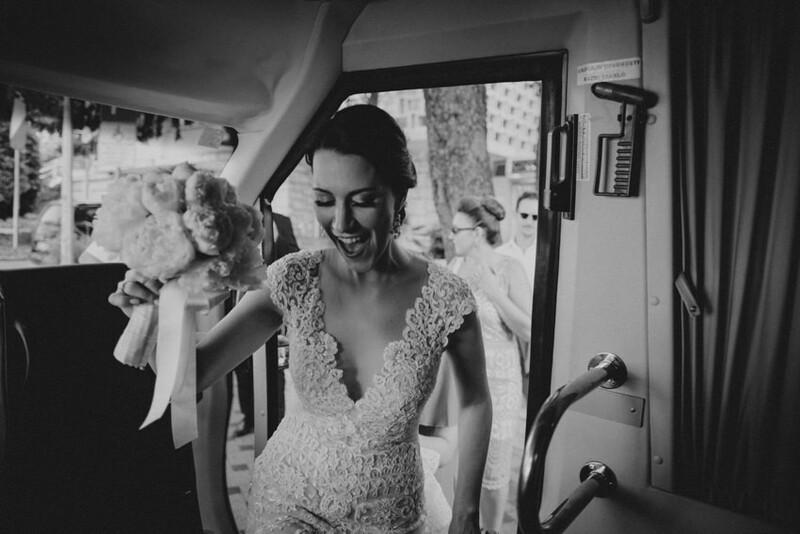 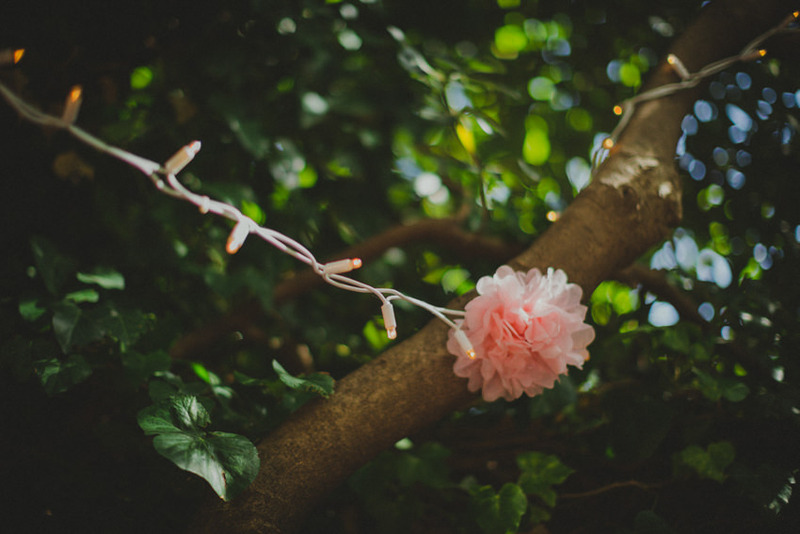 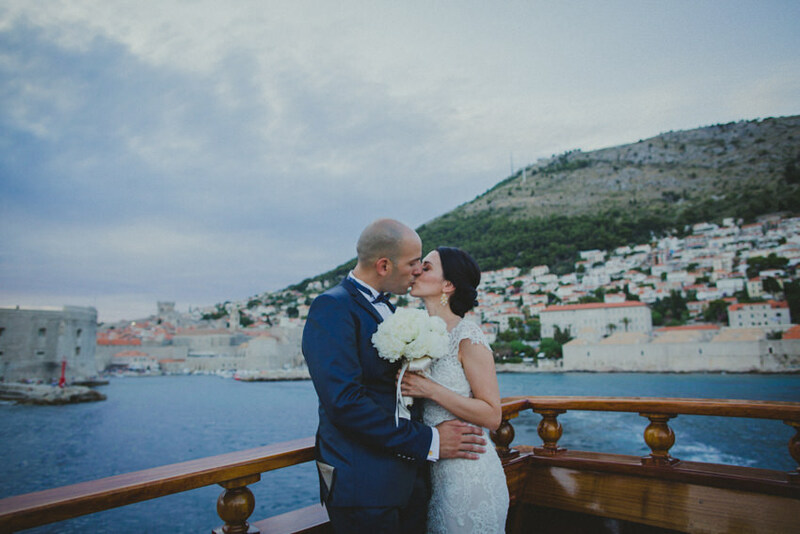 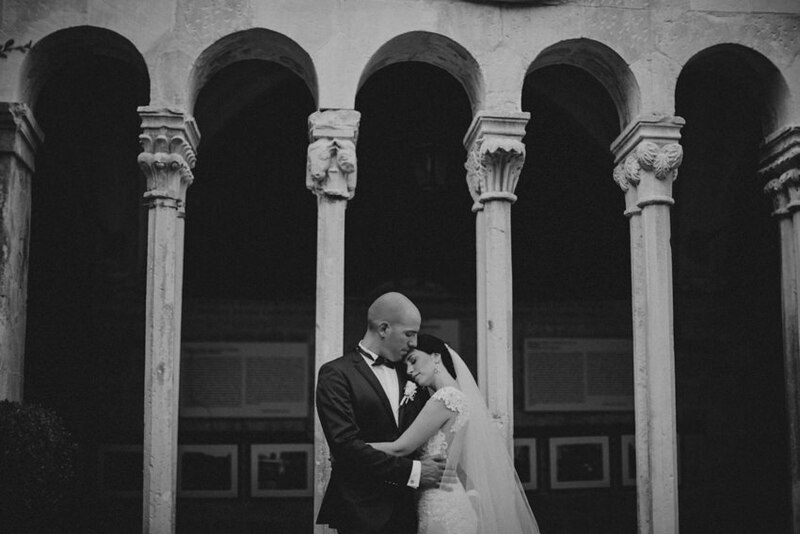 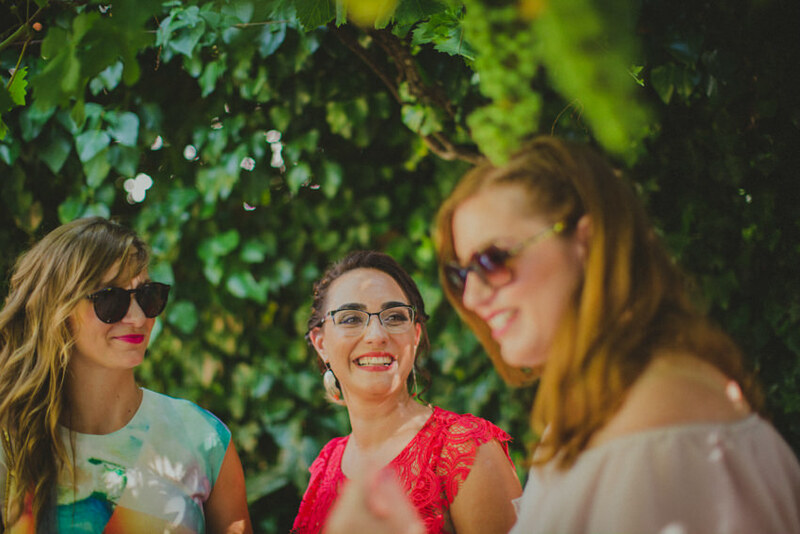 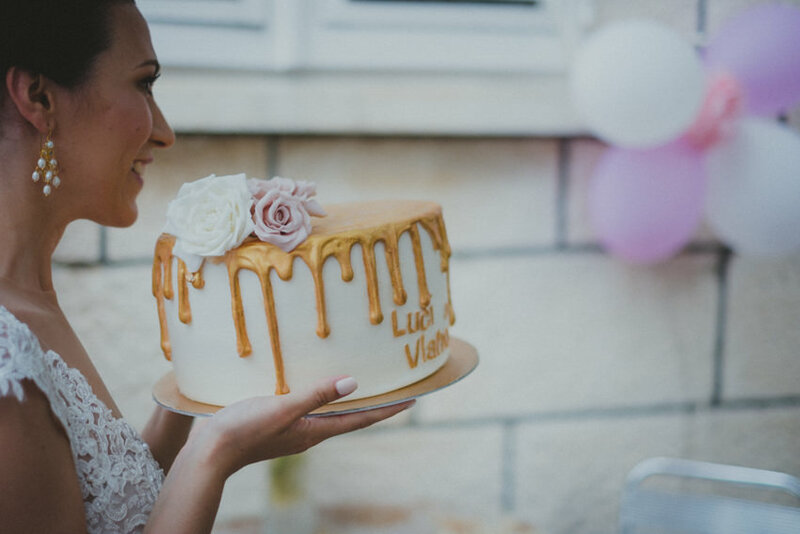 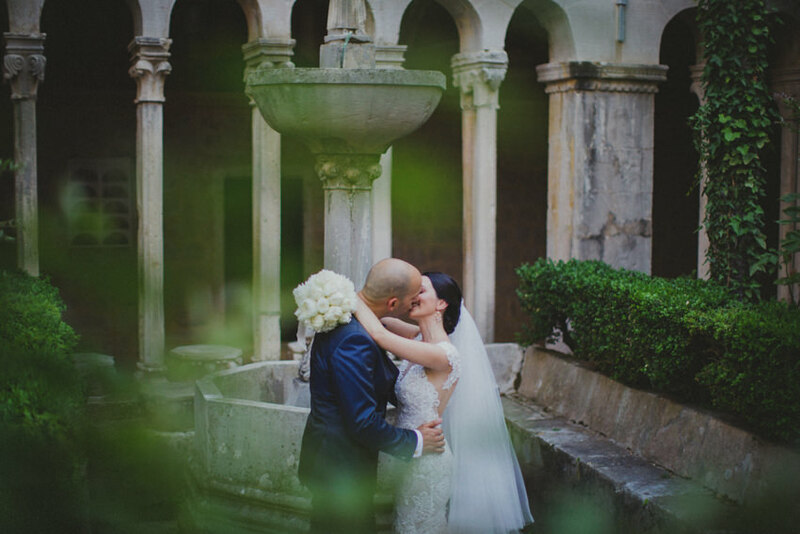 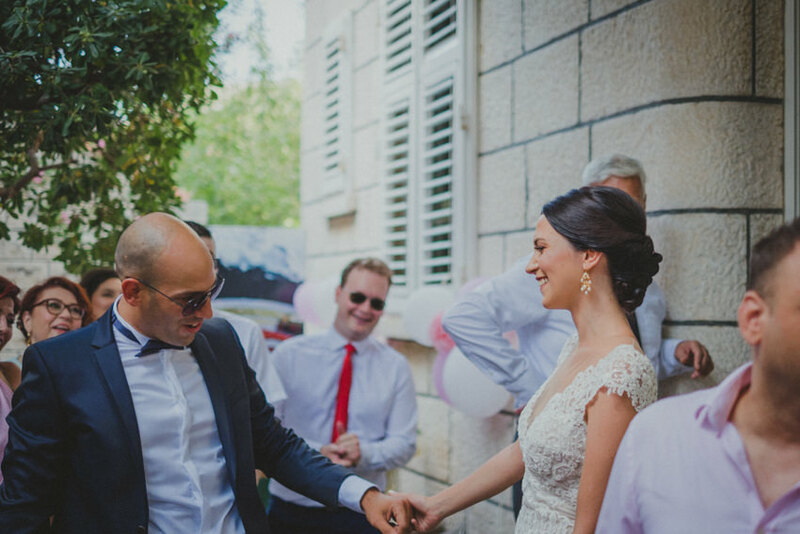 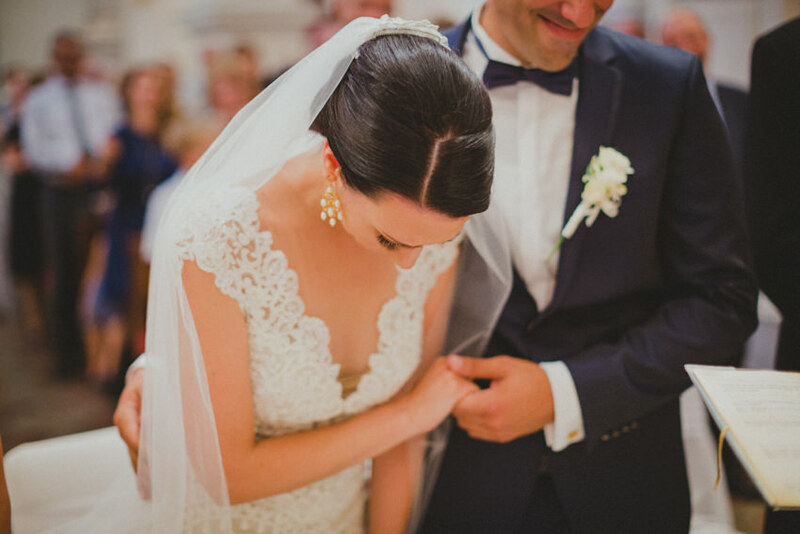 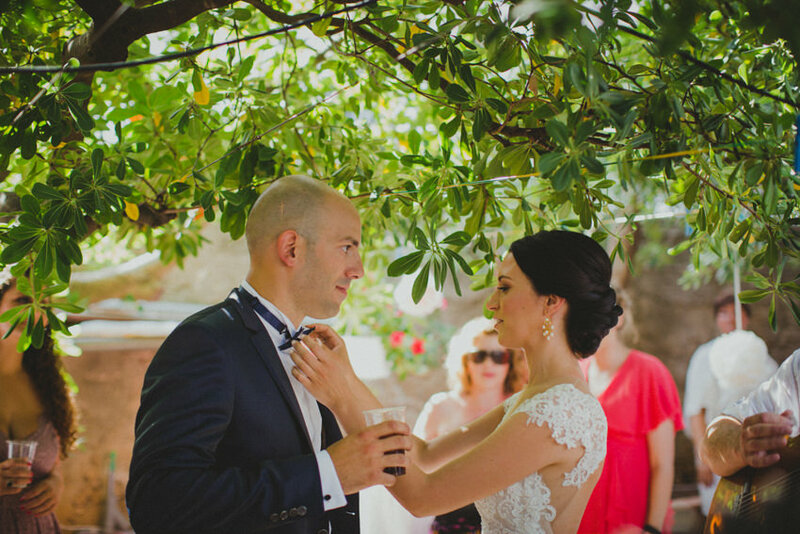 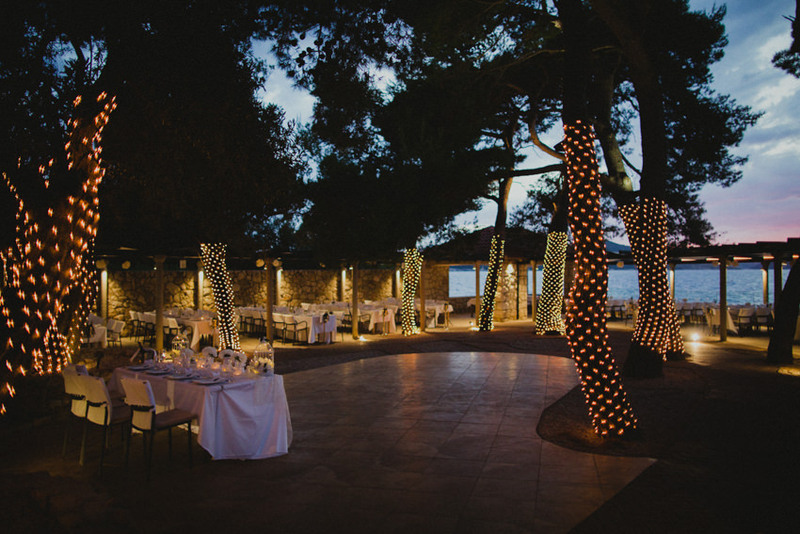 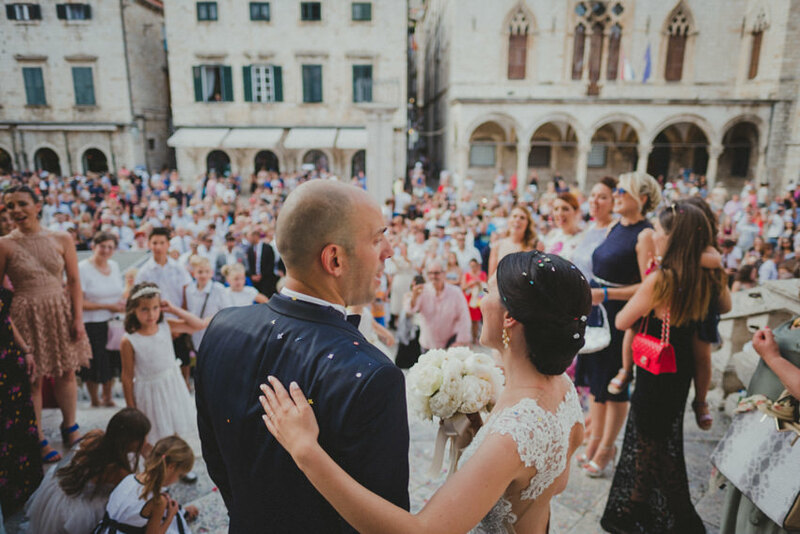 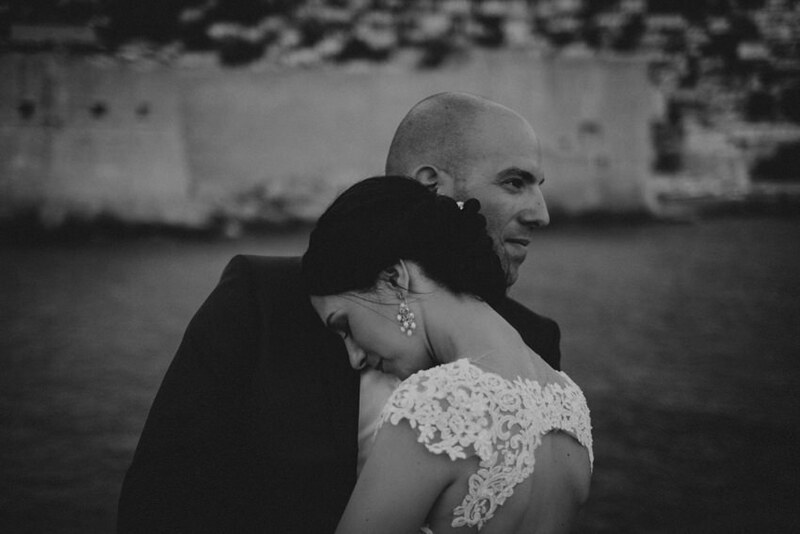 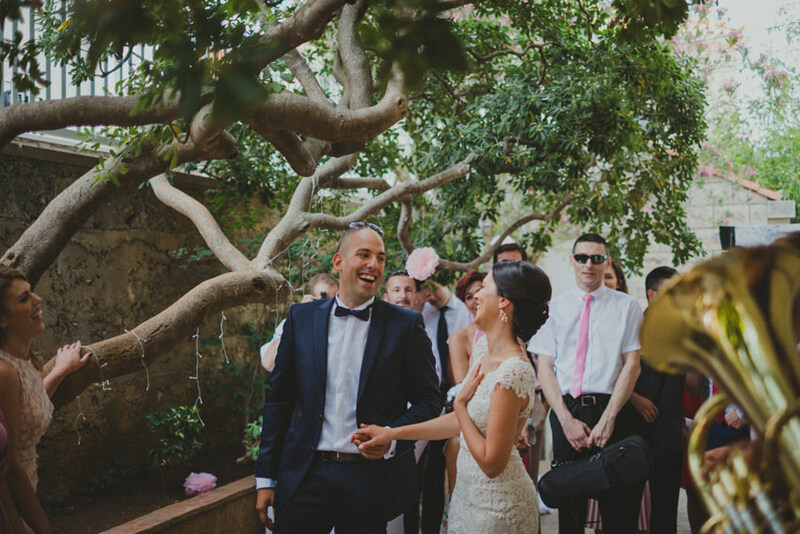 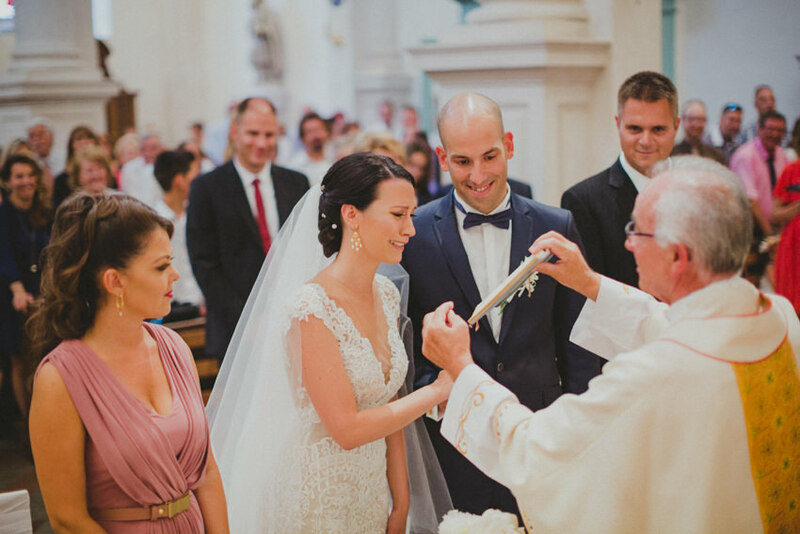 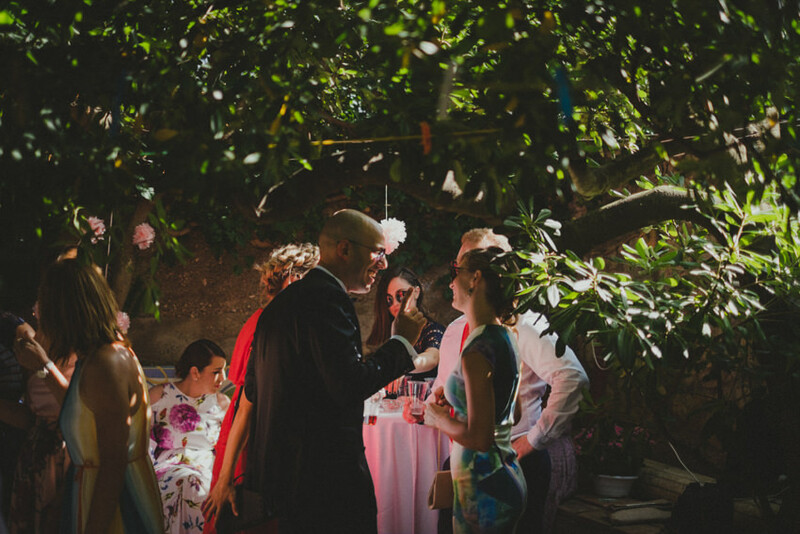 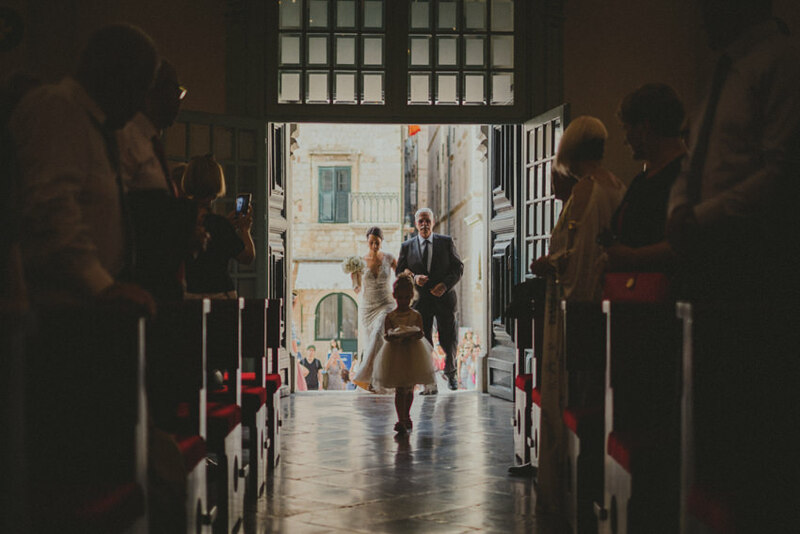 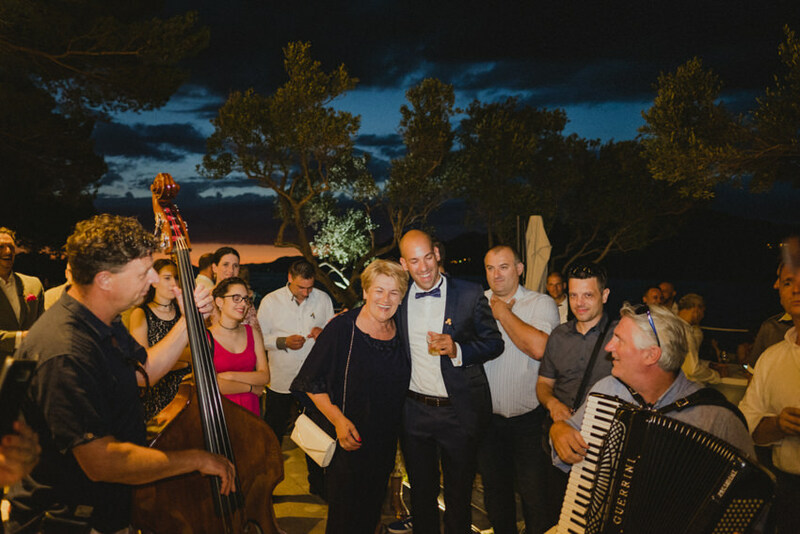 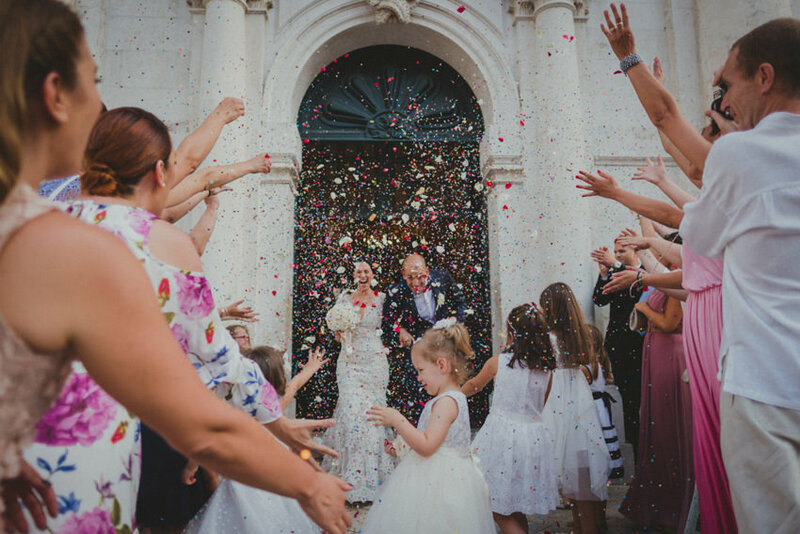 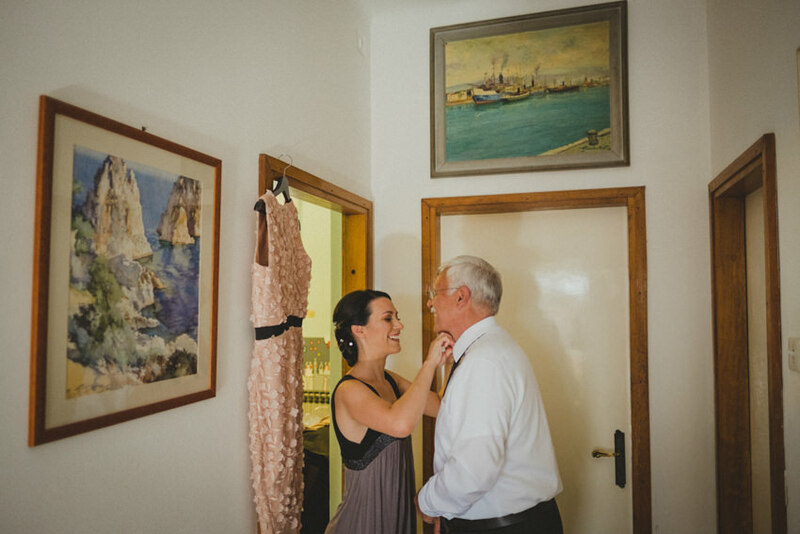 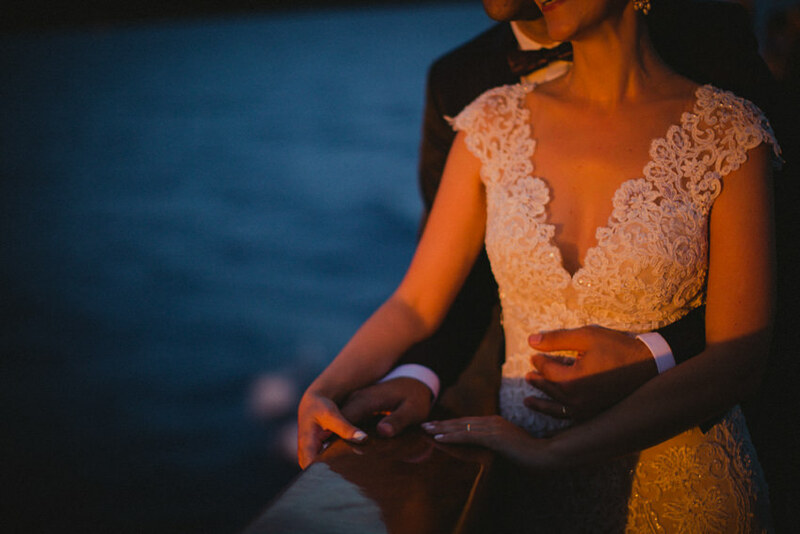 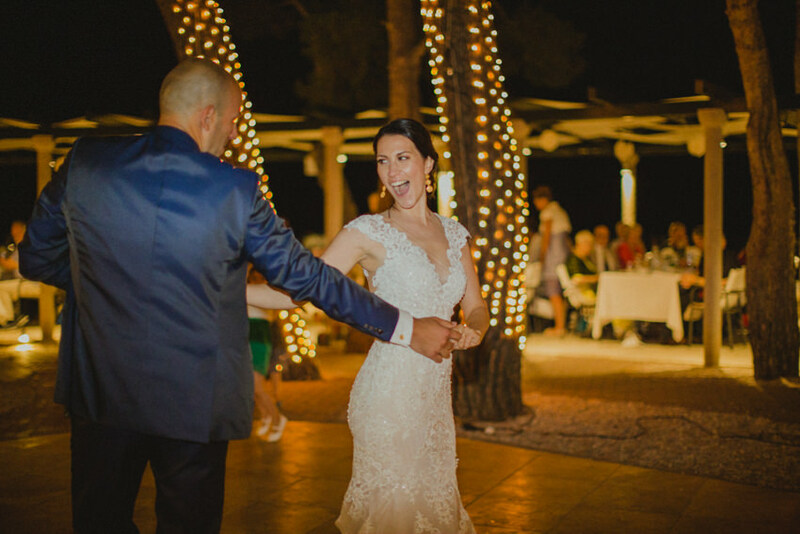 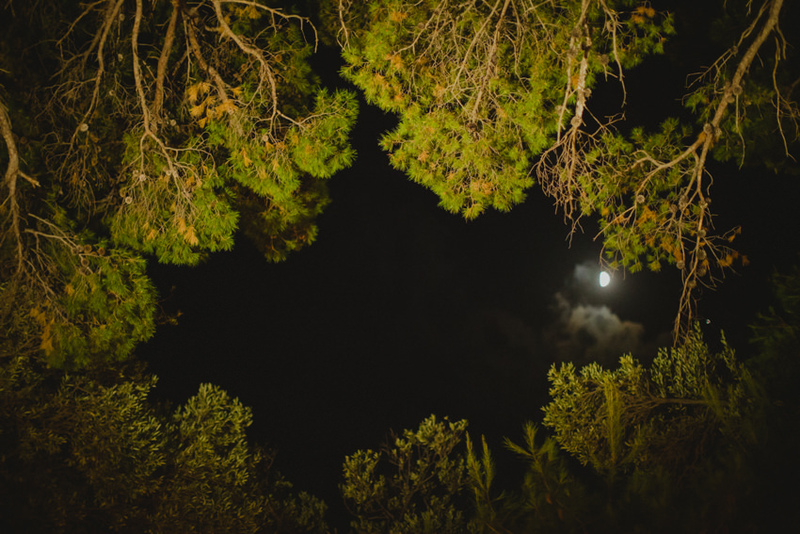 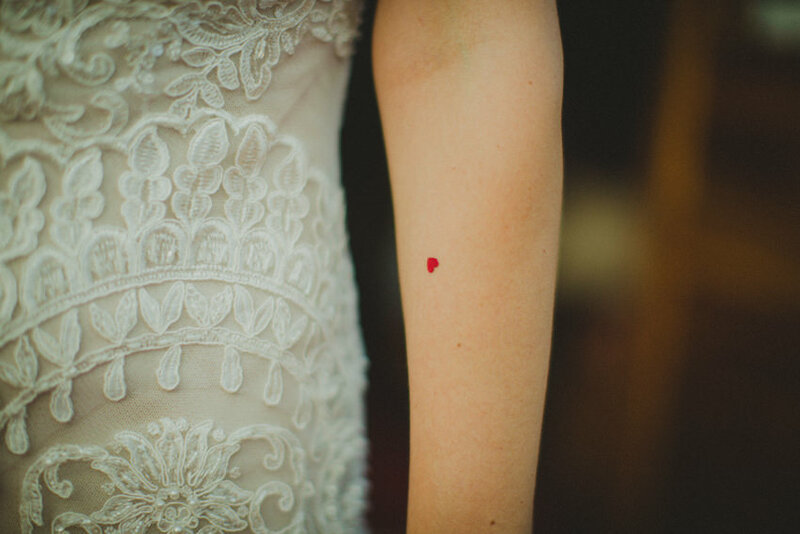 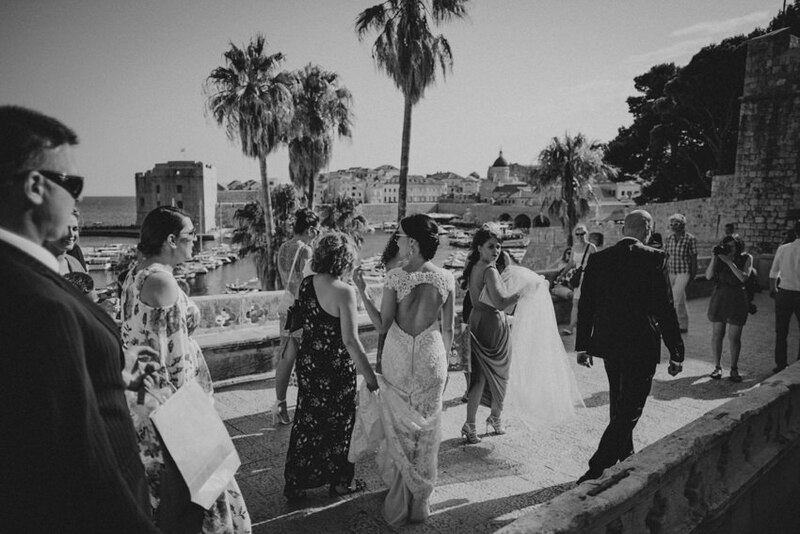 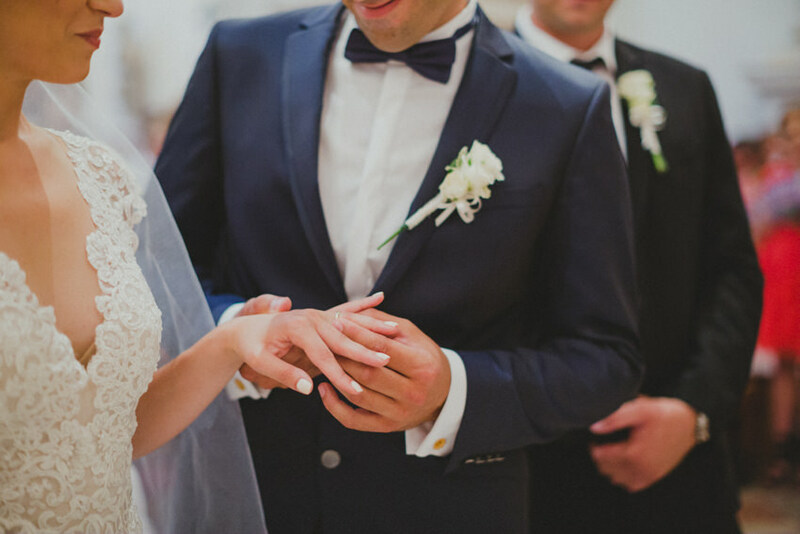 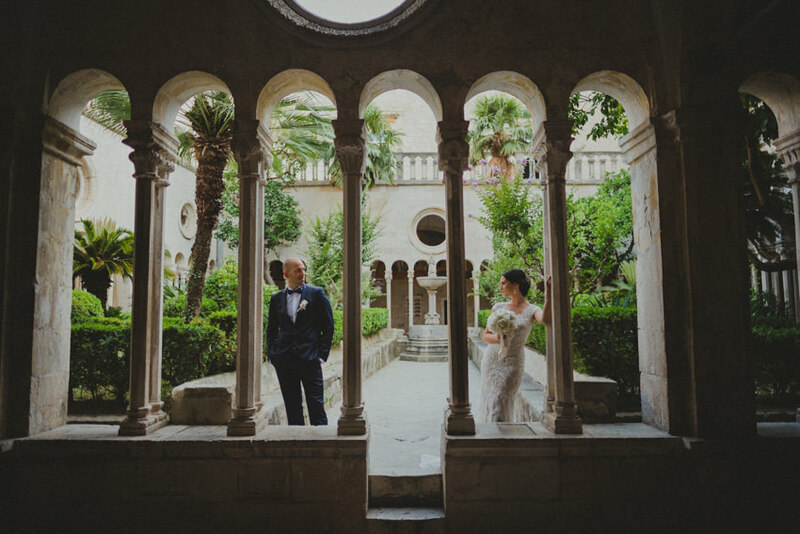 This Villa Rose wedding (island of Koločep, near Dubrovnik) was off the beaten path from the start! 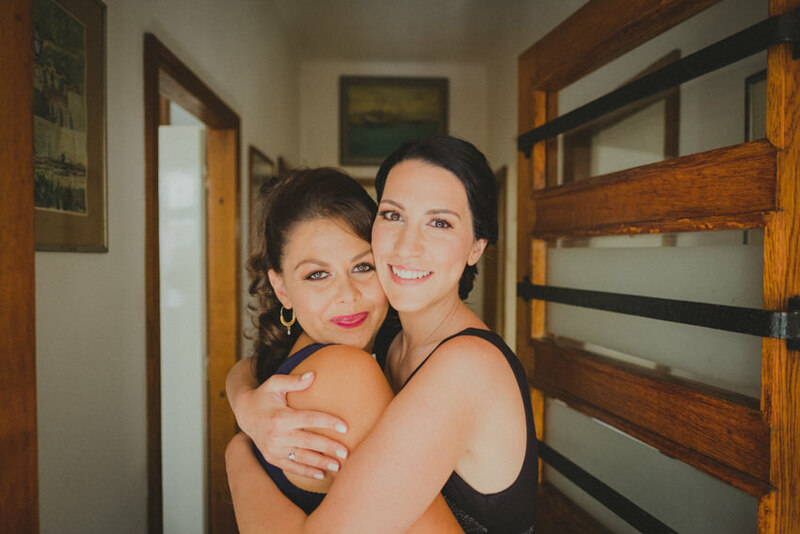 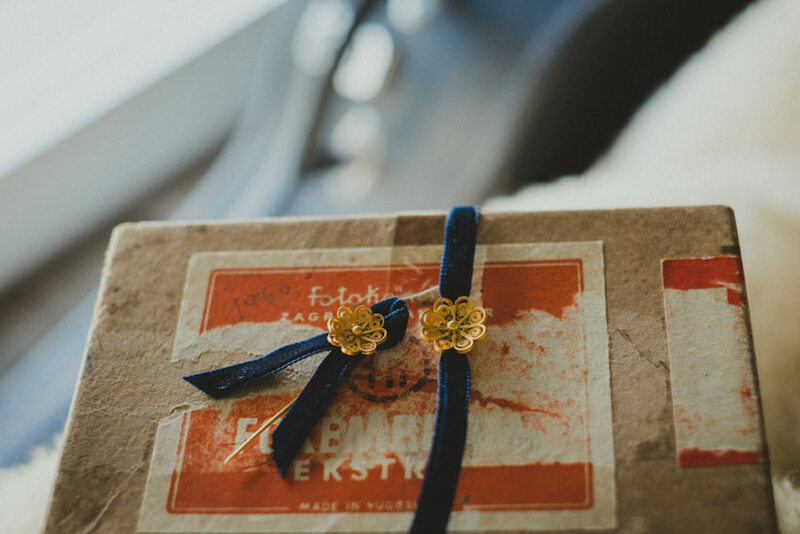 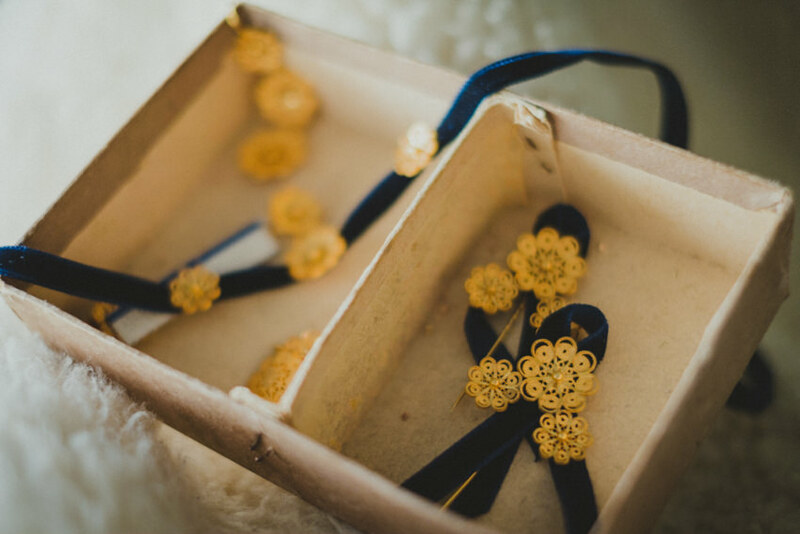 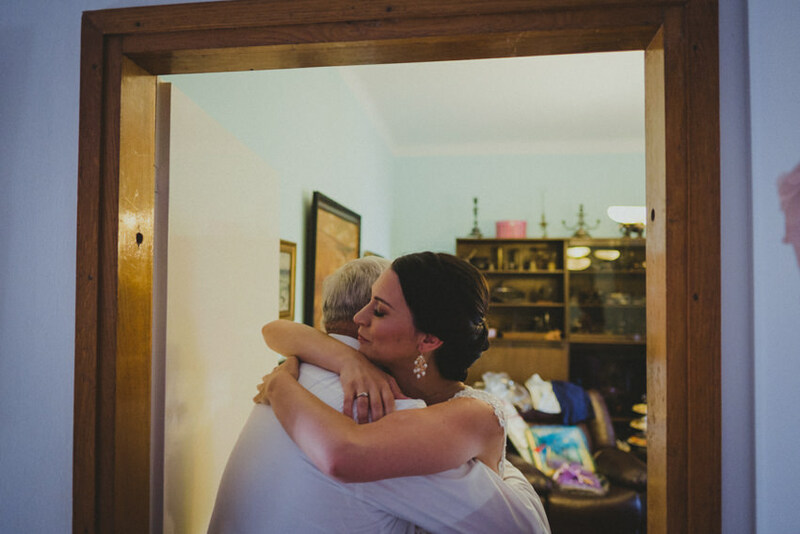 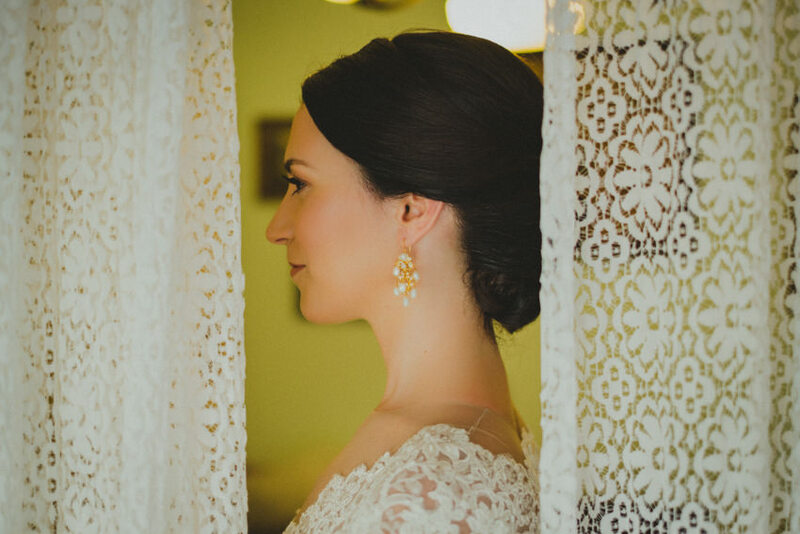 For example, how many brides can say they father handcrafted their wedding rings, her earrings and bouttoniers & bracelets for guests from pure gold? 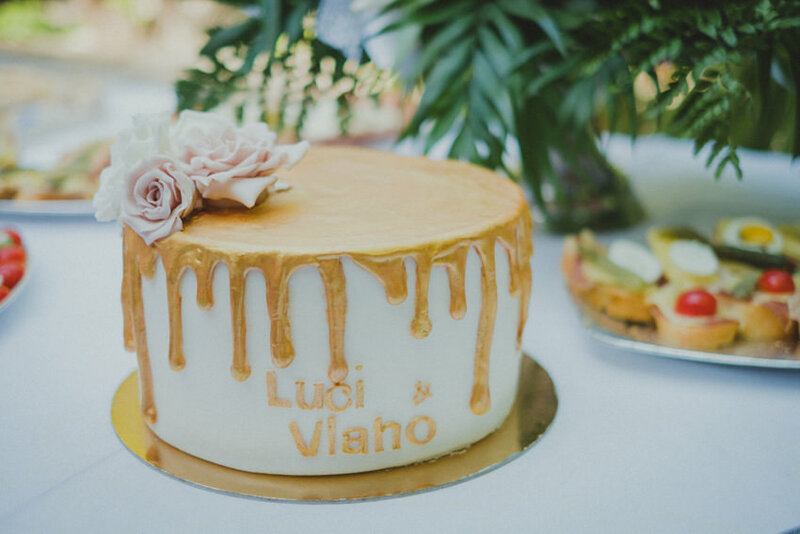 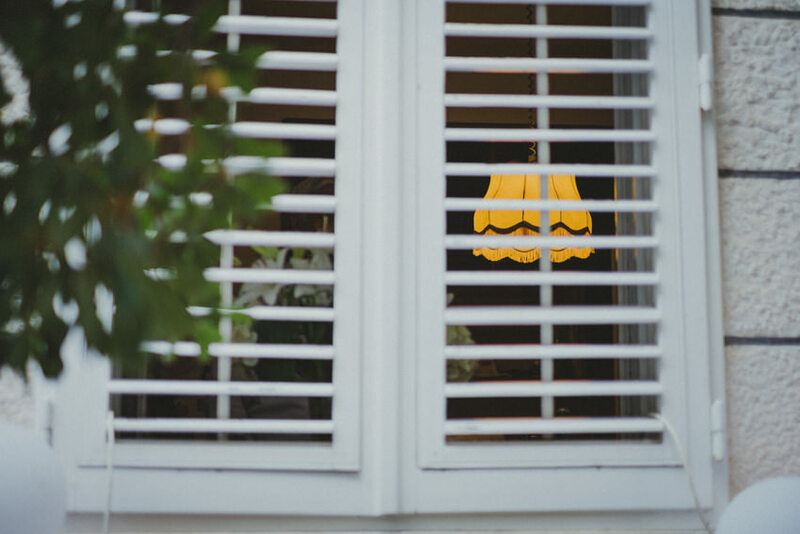 Luči’s father is a world renowned goldsmith who crafts intricately ornamented gold pieces with a dose of tradition built into each one. 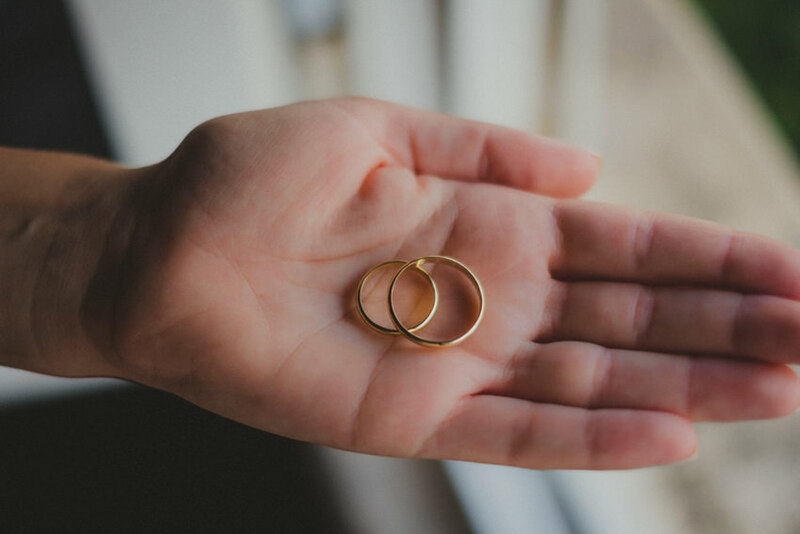 Keep that in mind as you see a photo after photo of gold jewellery — it wasn’t about the jewellery, but about the process of creating it. 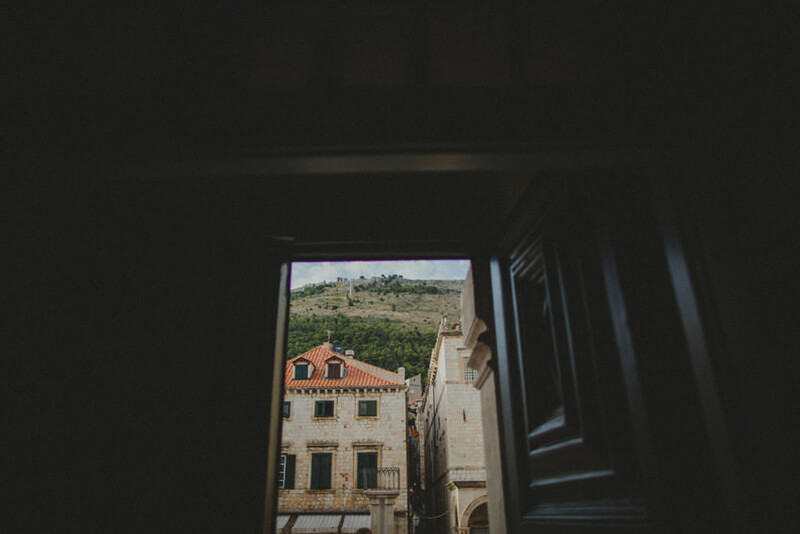 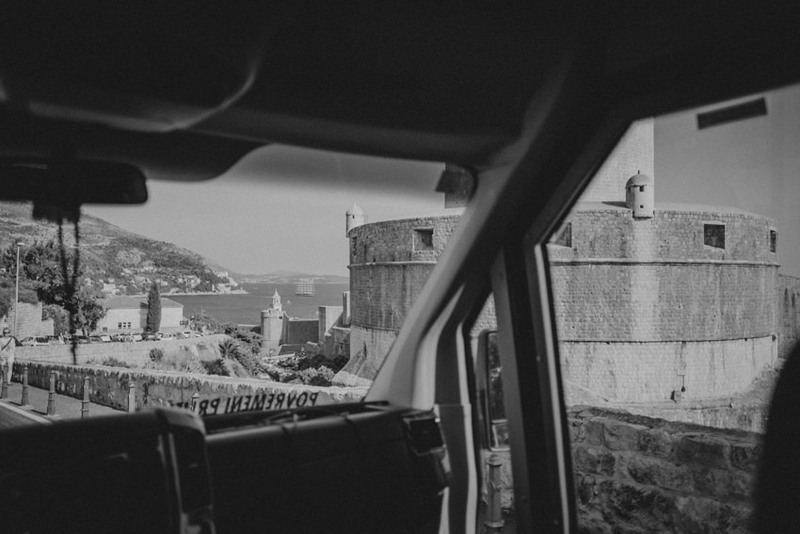 Vlaho is a musician, a bass player in the best hip-hop/rock collective that’s ever come out of Dubrovnik. 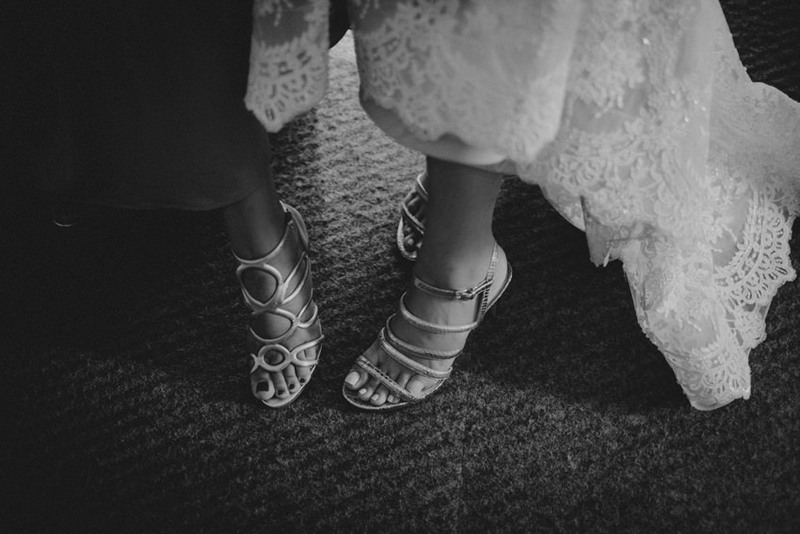 Even though they’re now unfortunately defunct, I played them many times over while working on this wedding. 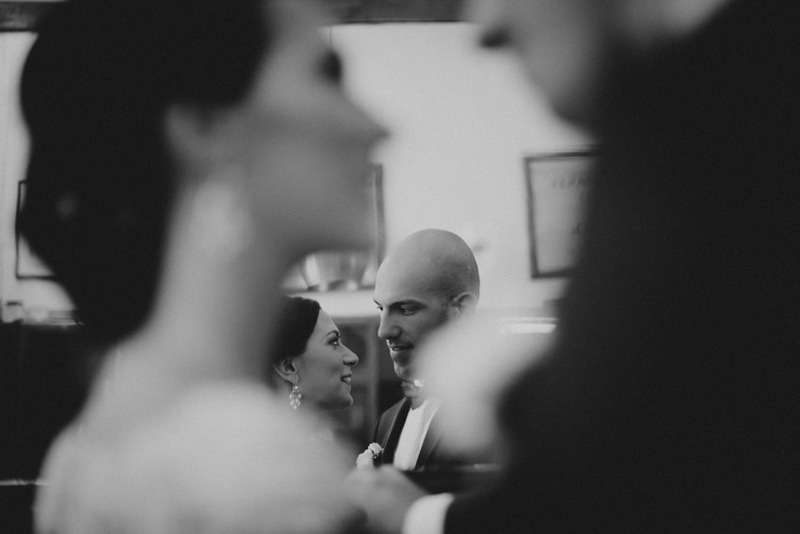 Such an interesting couple did things their way, of course. 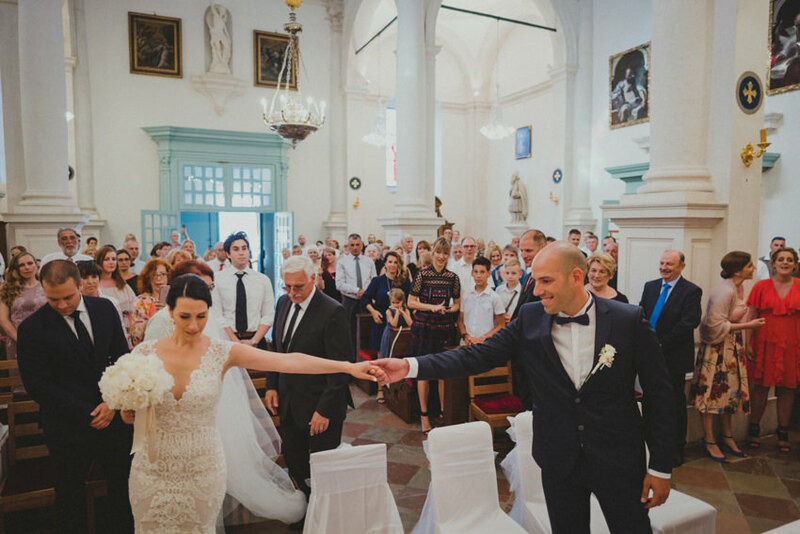 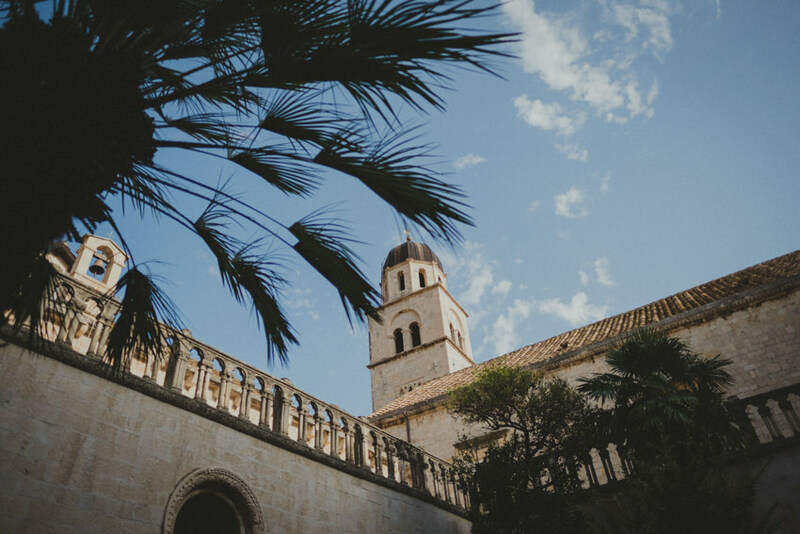 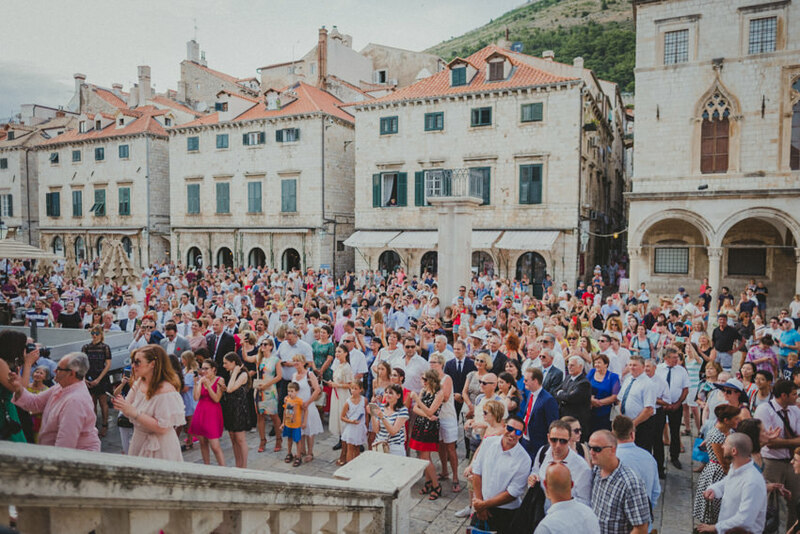 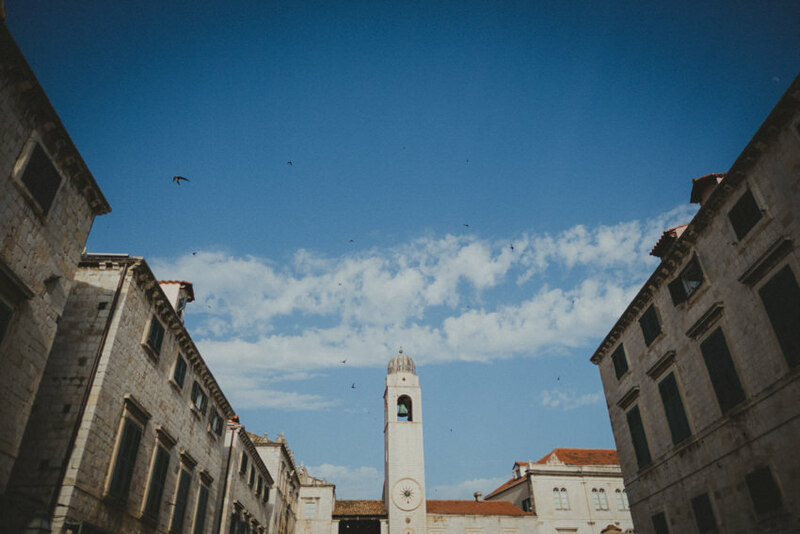 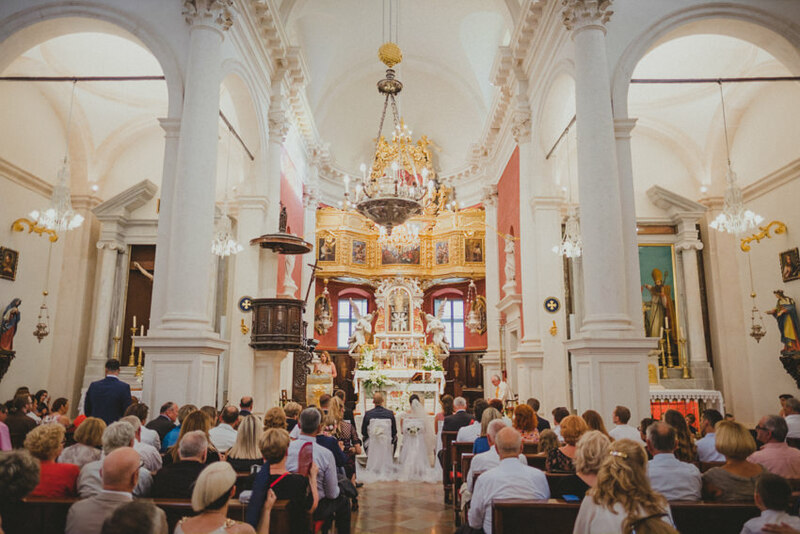 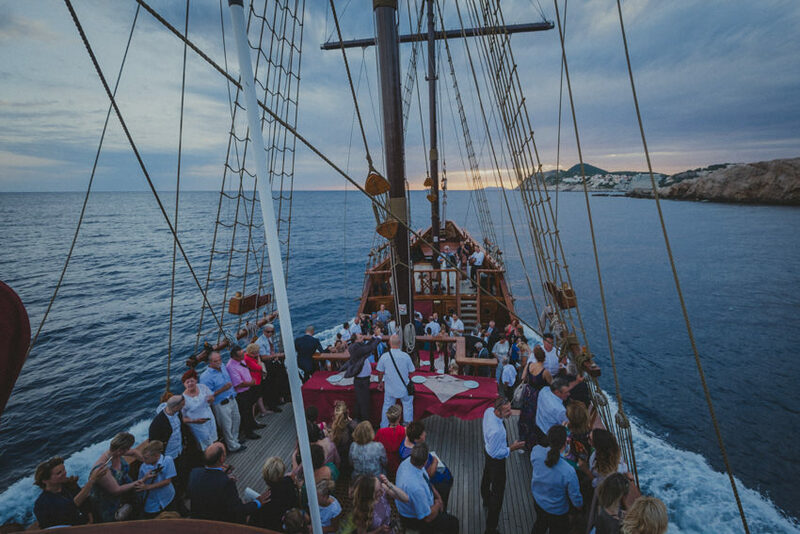 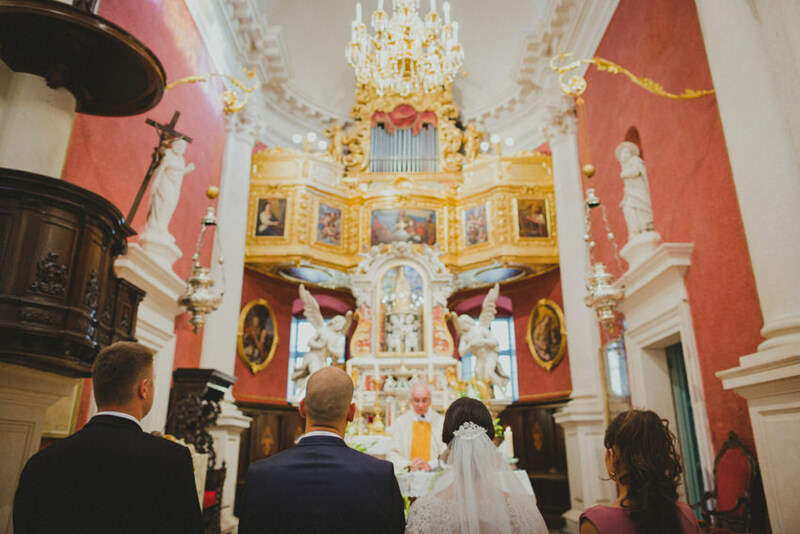 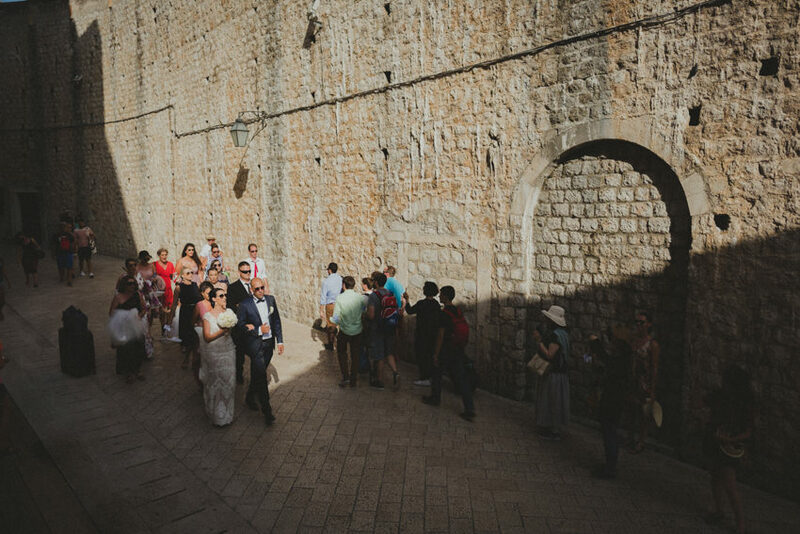 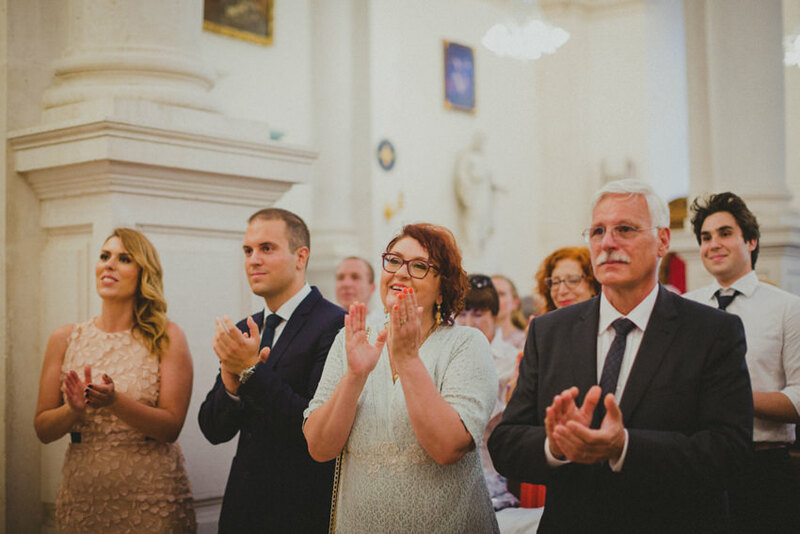 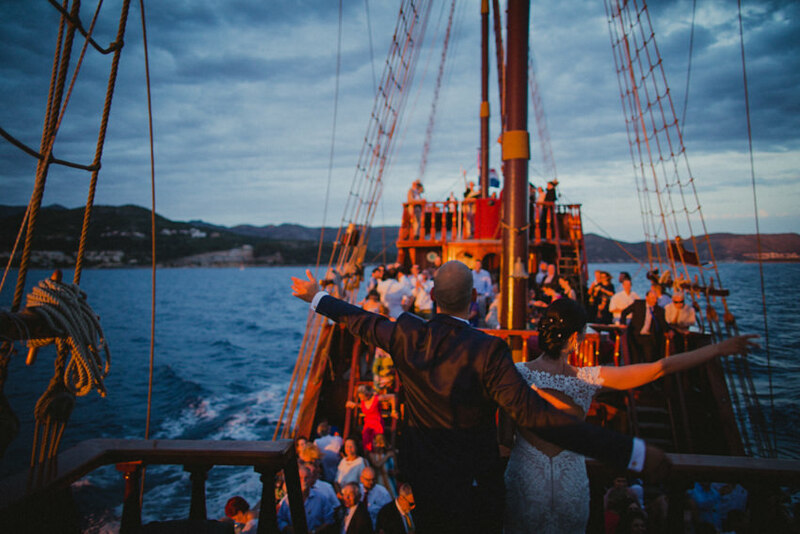 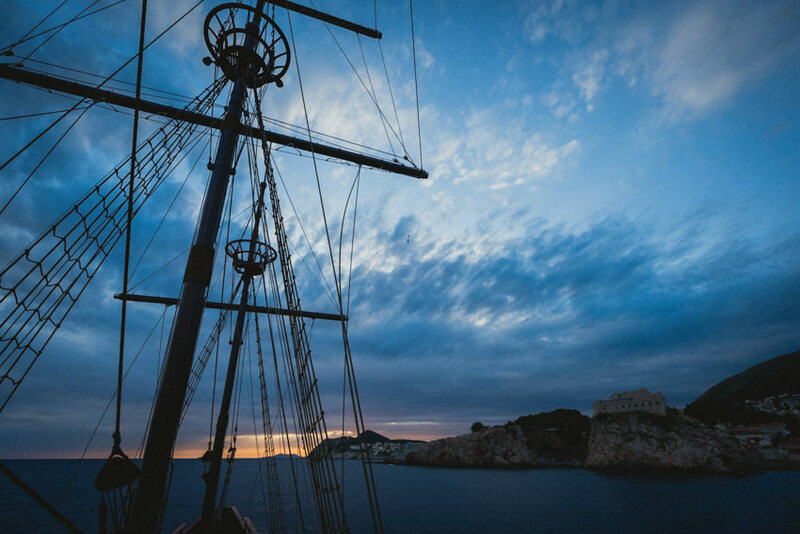 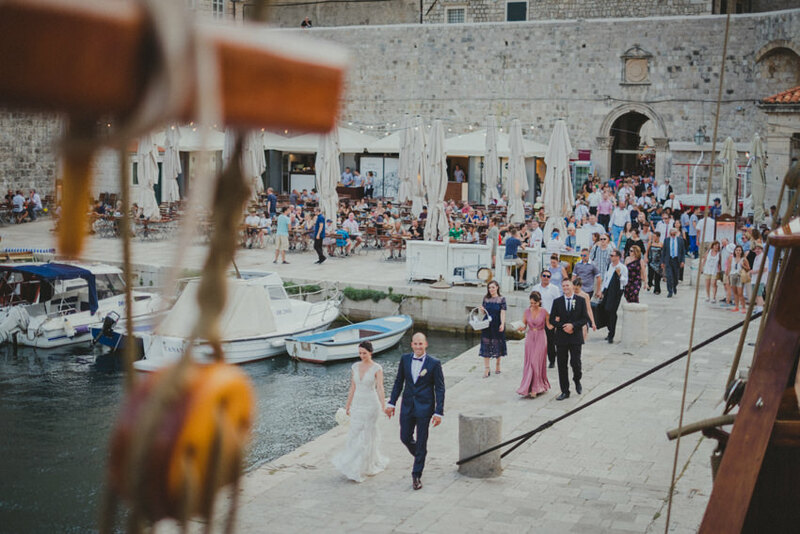 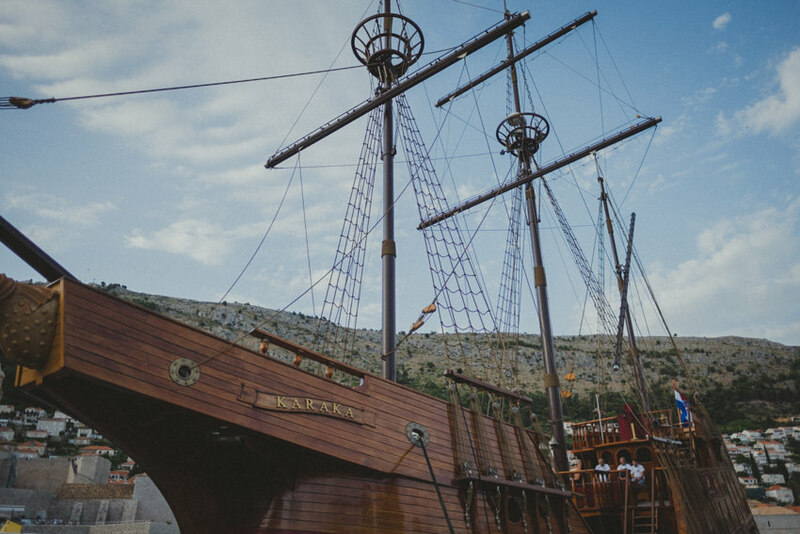 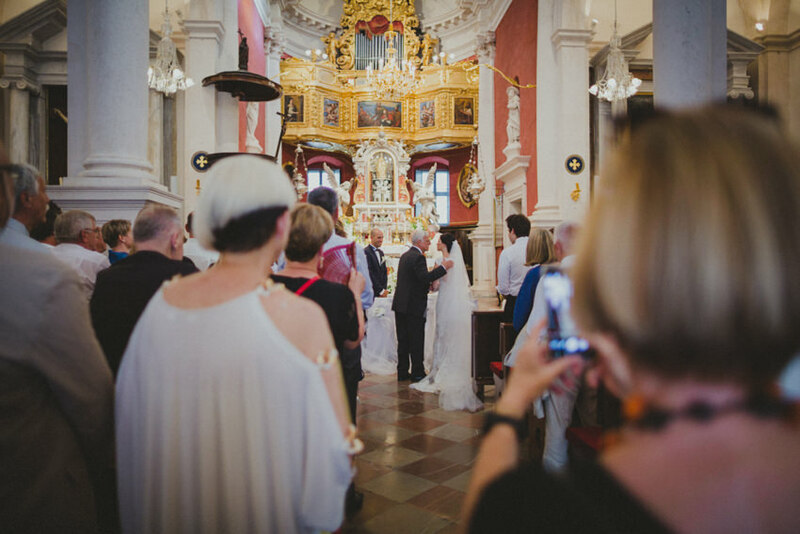 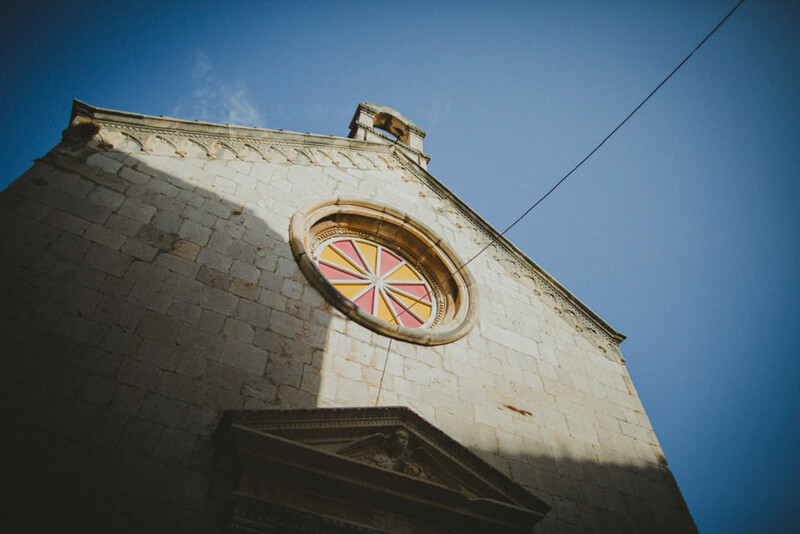 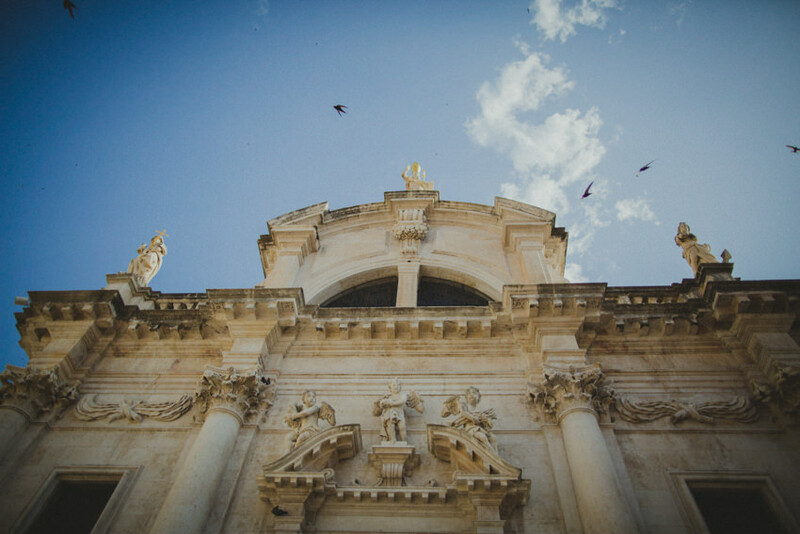 The ceremony was held in the most beautiful church in Dubrovnik, church of St. Vlaho, after which we embarked on an hour long journey with the ancient (replica) wooden ship Karaka. 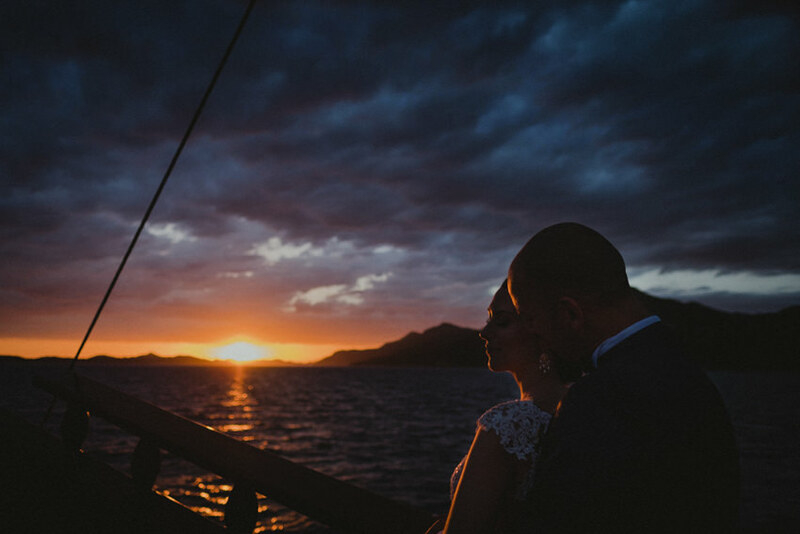 We were lucky to witness probably the most amazing sunset of 2017, which first showered us with warm red light (scroll down to see it!) 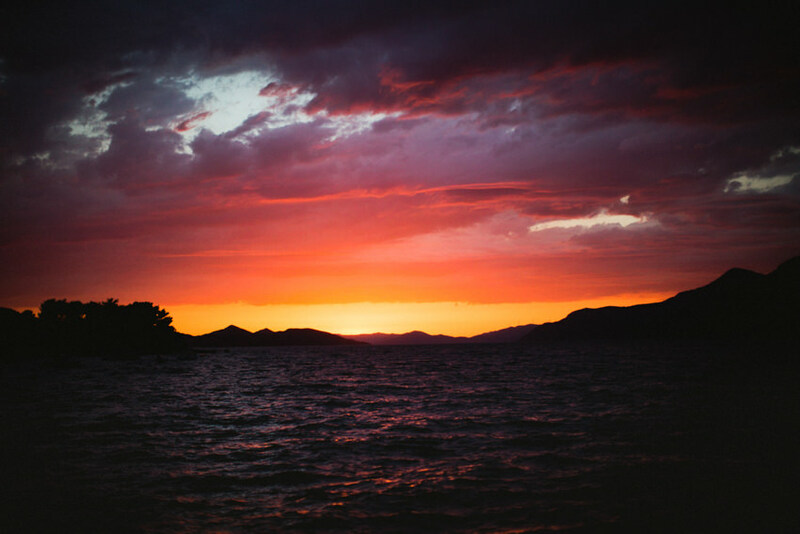 before turning into a crimson explosion. 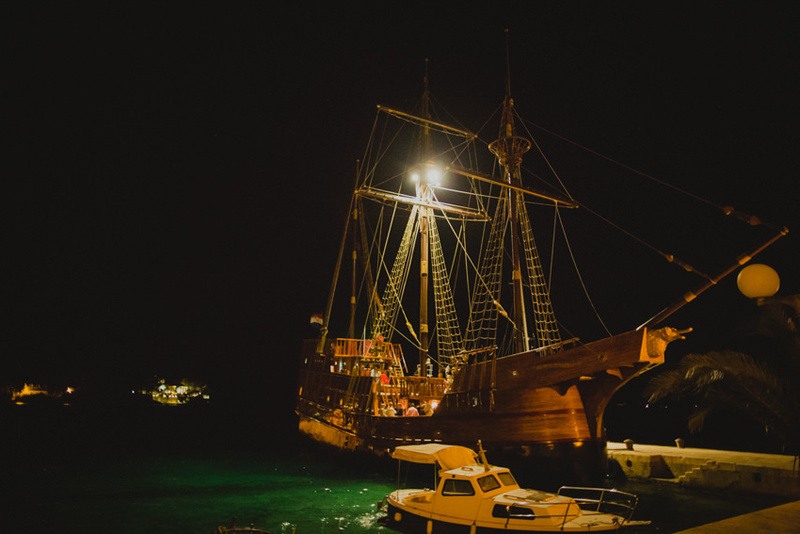 These colors juxtaposed with this ancient ship made for truly amazing photos. 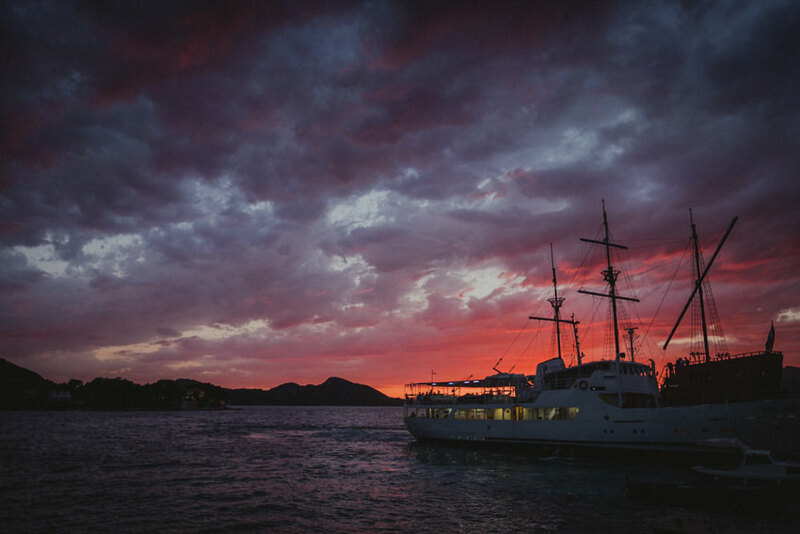 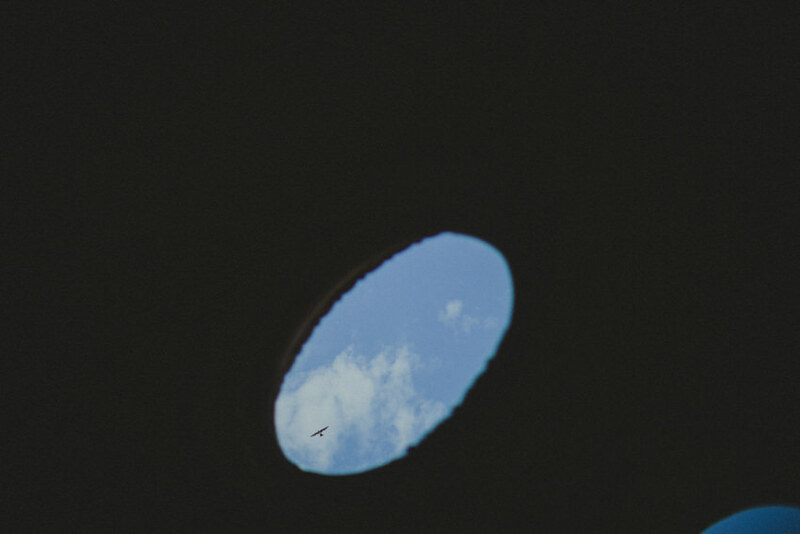 Our final destination? 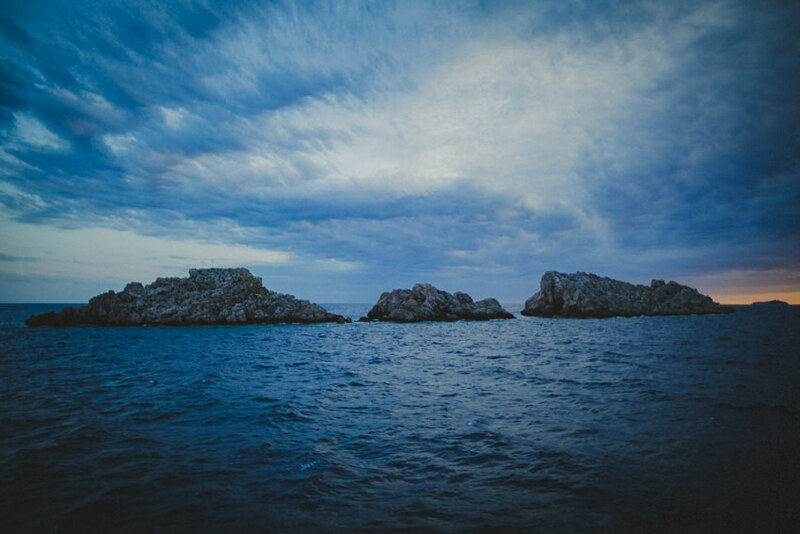 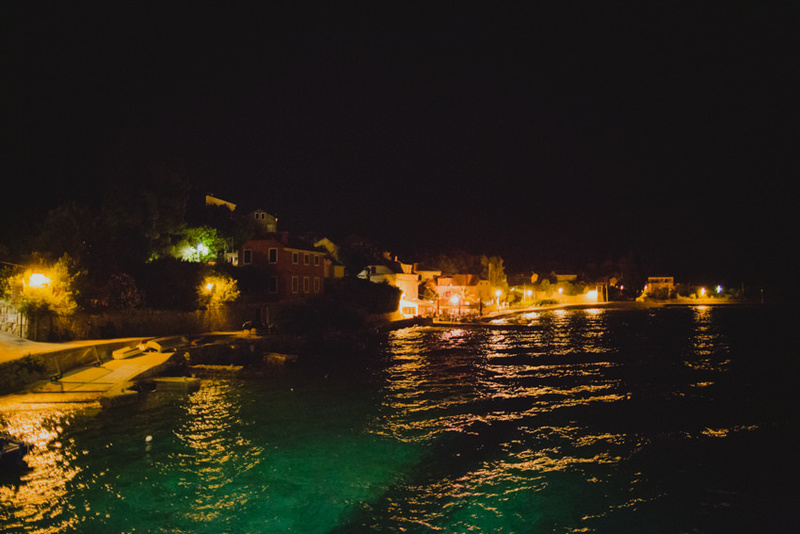 Island of Koločep, just off the coast of Dubrovnik and the hidden little gem caled Villa Ruža (or Villa Rose). 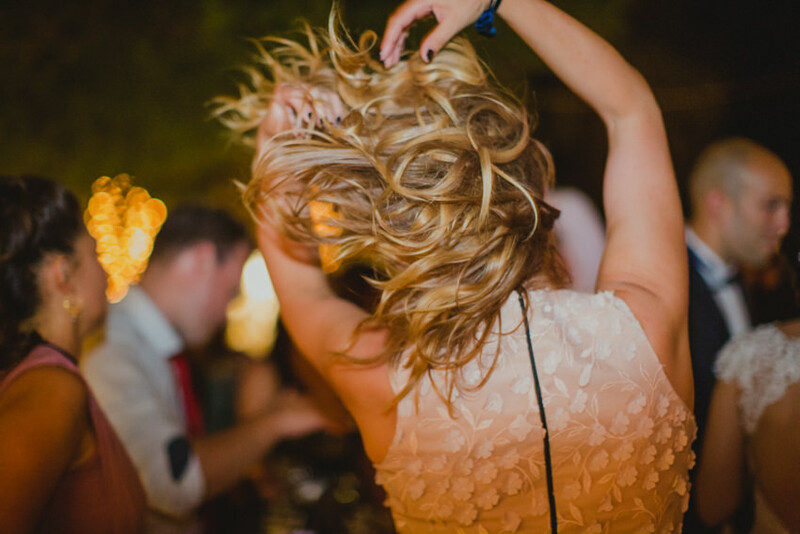 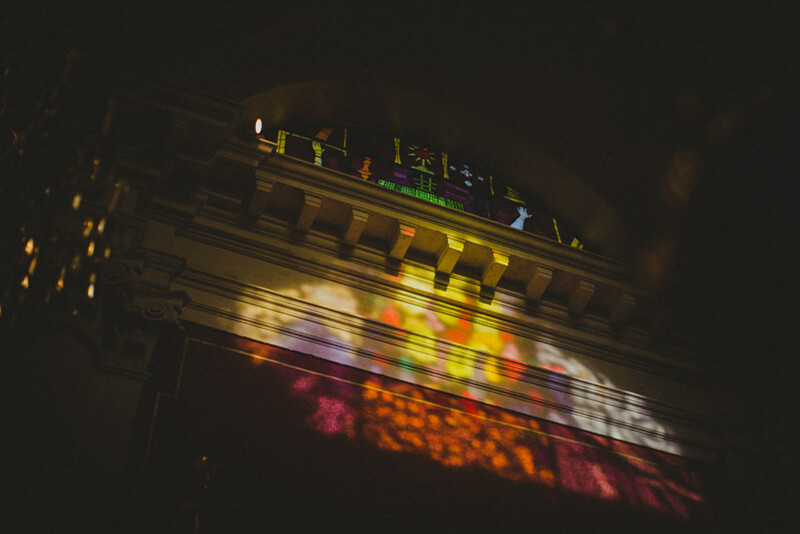 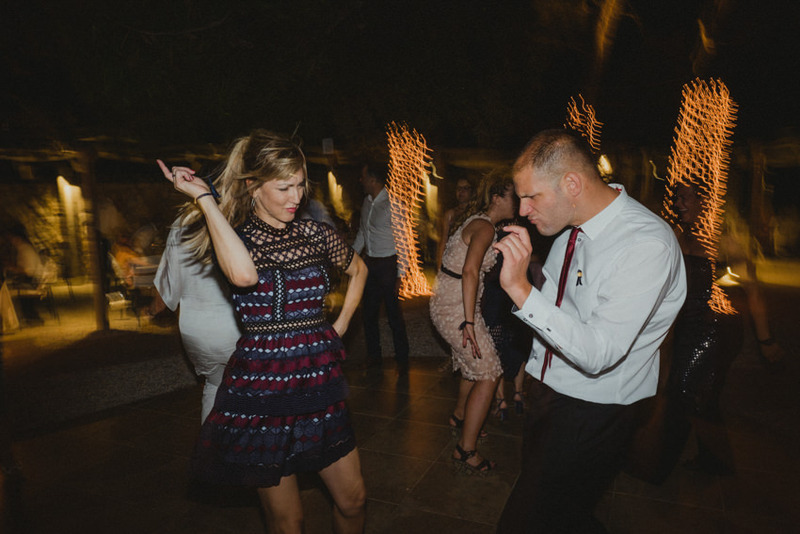 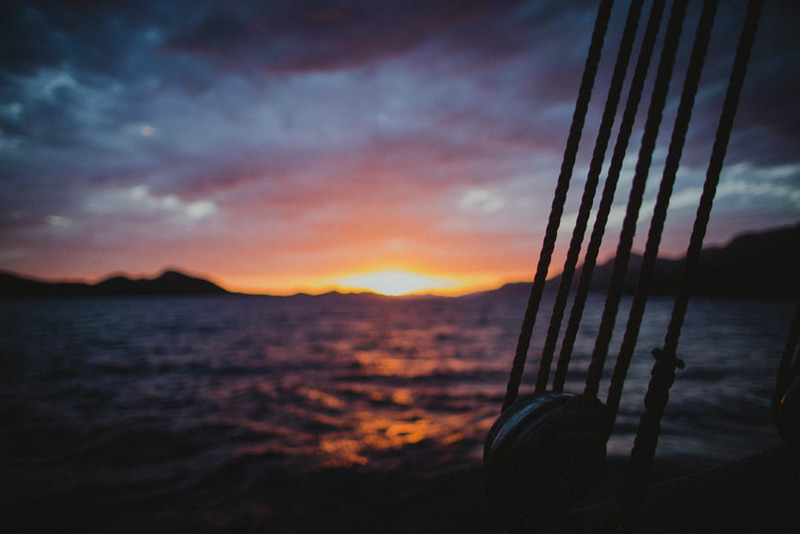 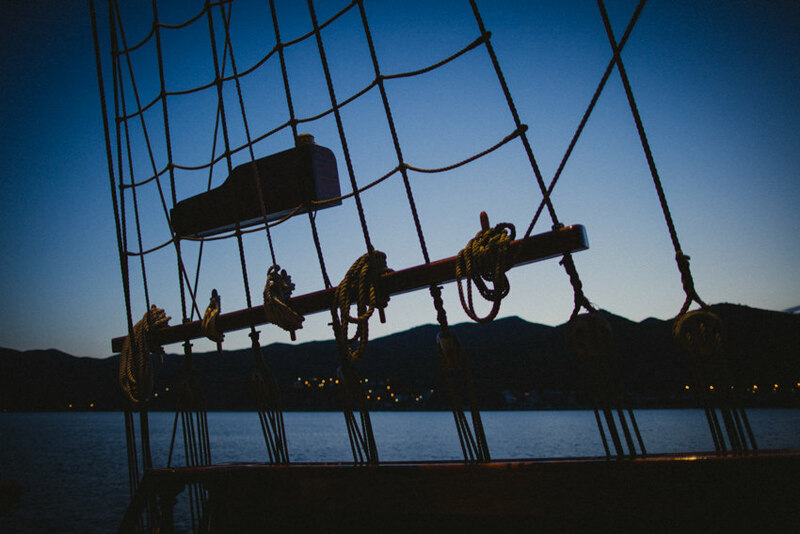 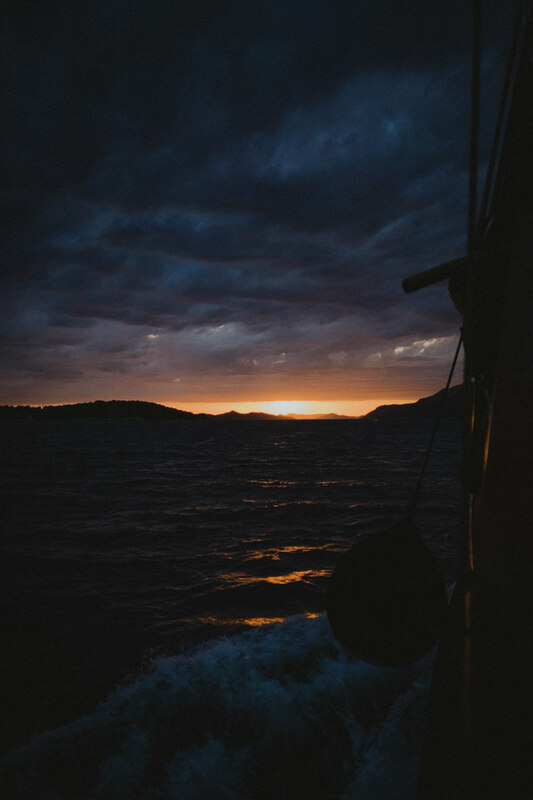 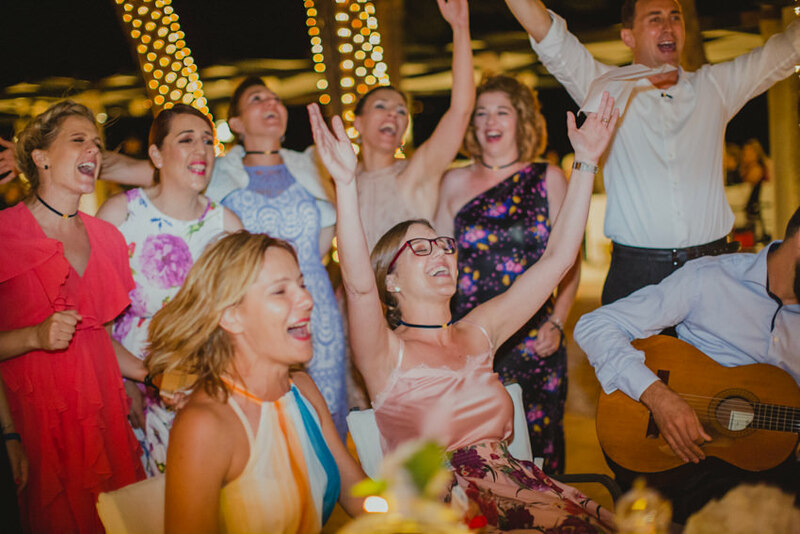 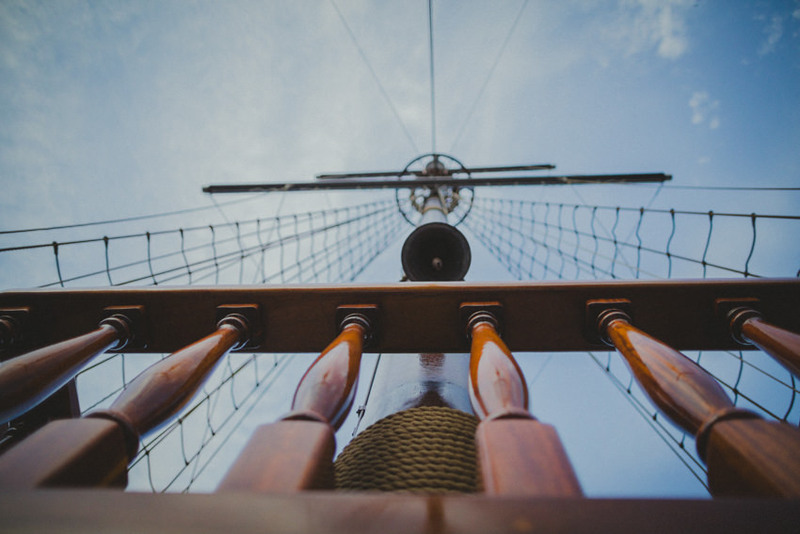 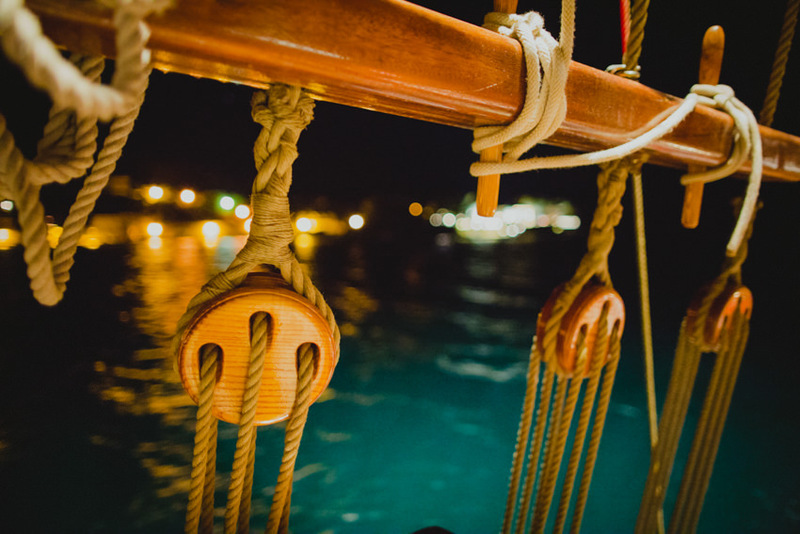 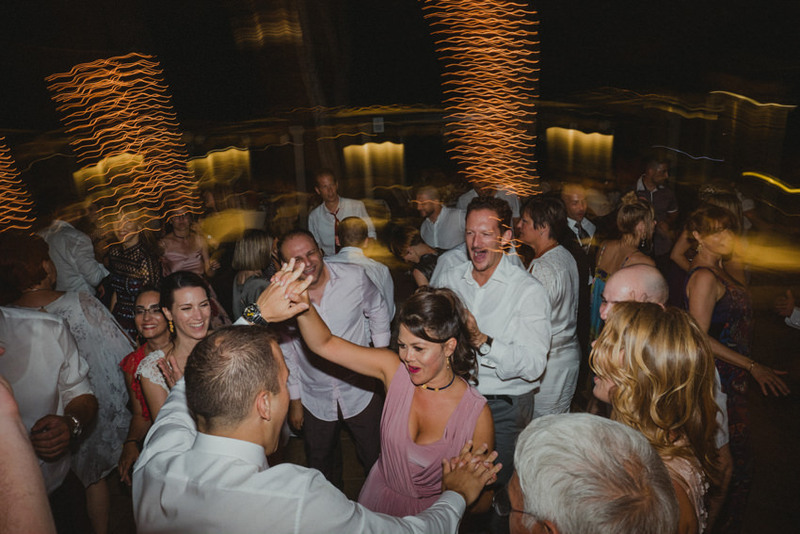 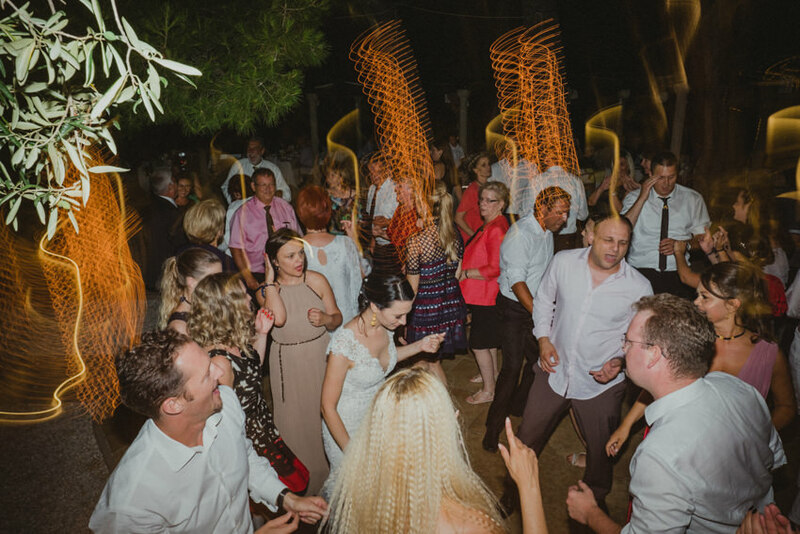 We danced the night away with intermissions of amazing local food and the couple singing, before embarking back to the Karaka and heading for a party on the open sea!